Events from Monday 22nd April 2019 to Sunday 28th April 2019. 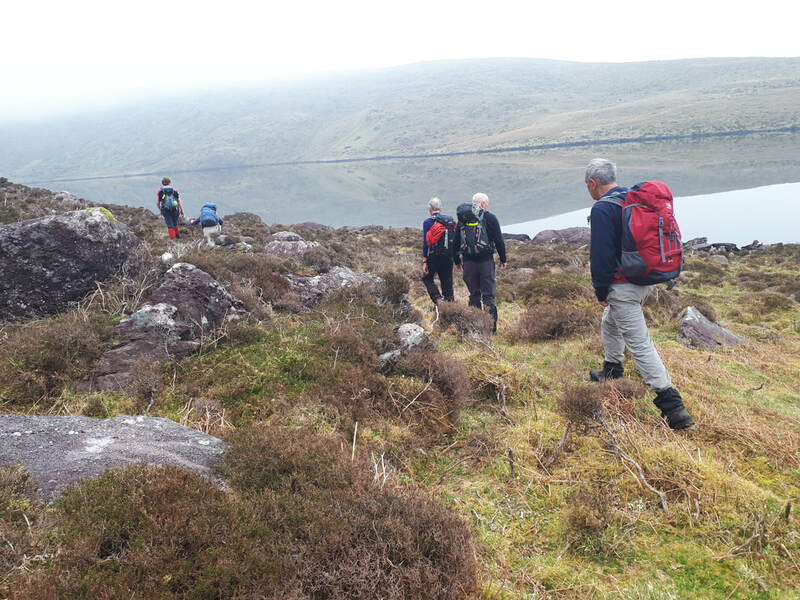 ​Wednesday 24th April - Evening Walk - Contact Barry on 086-1098244. Meeting at Askea Church Car Park at 06.20 for car pooling and departing at 6.30pm. 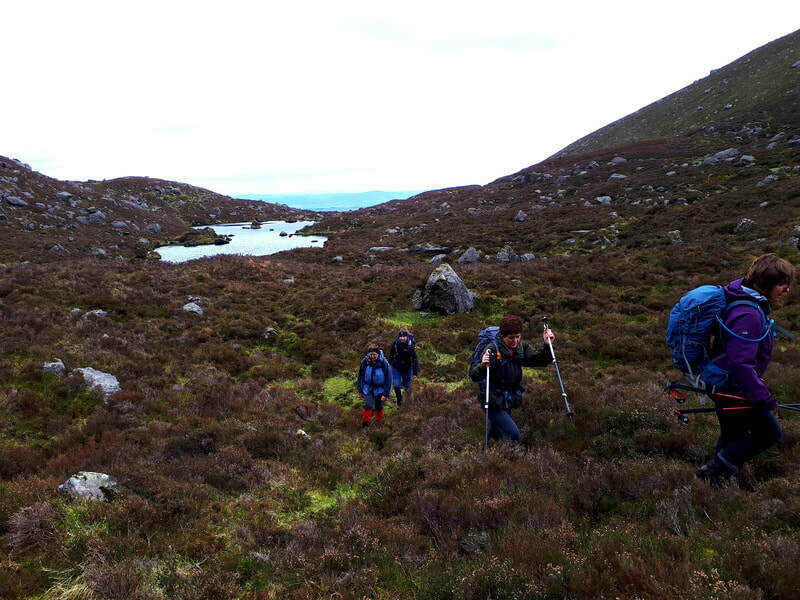 Friday 26th April - Medium Night Hike for more details - Contact John on 086-2772633. 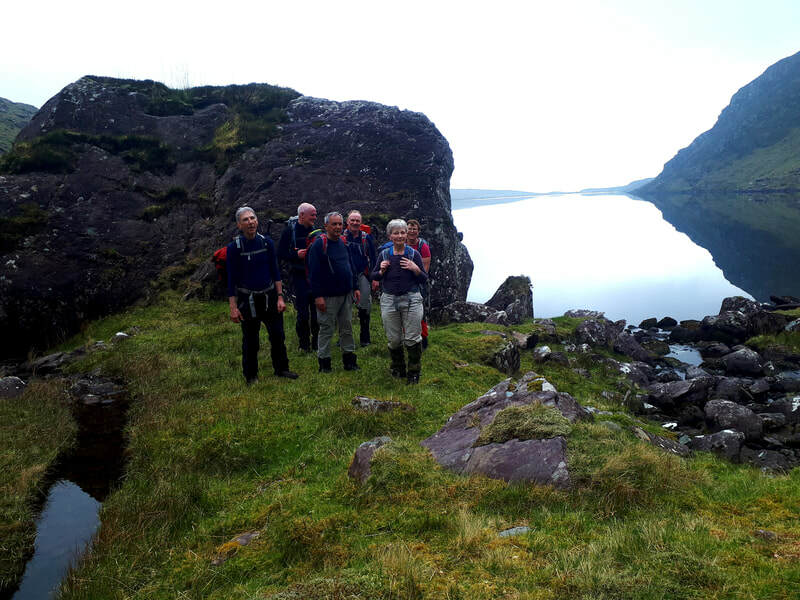 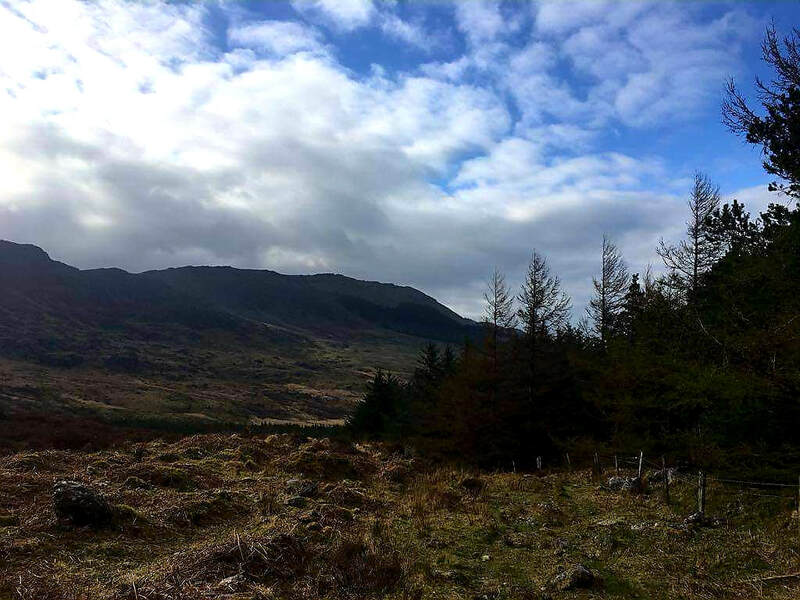 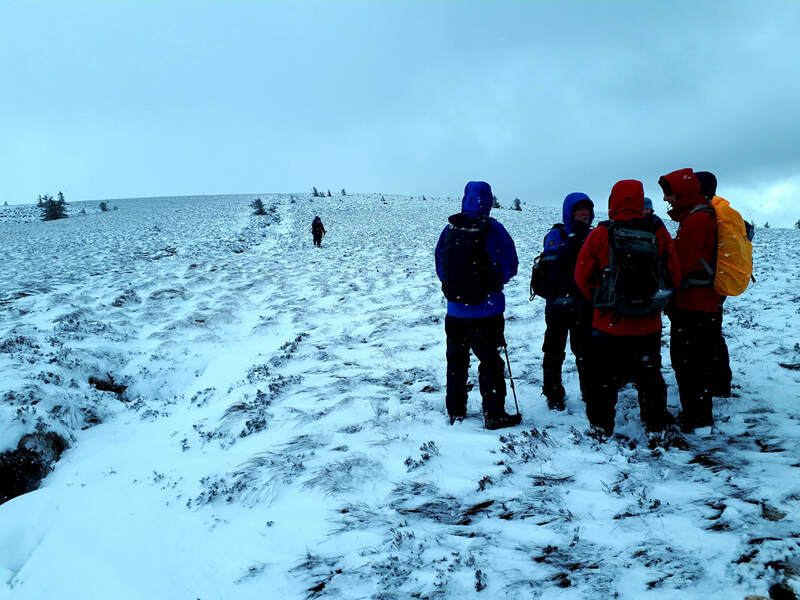 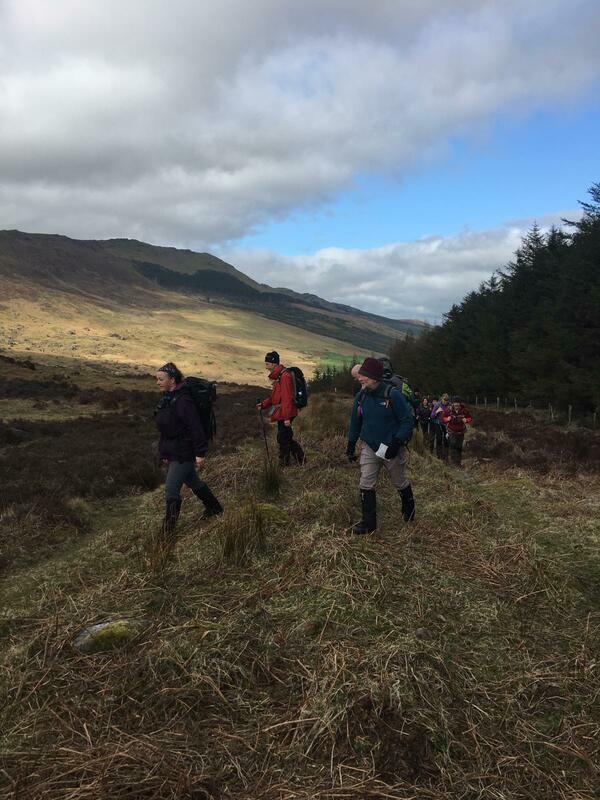 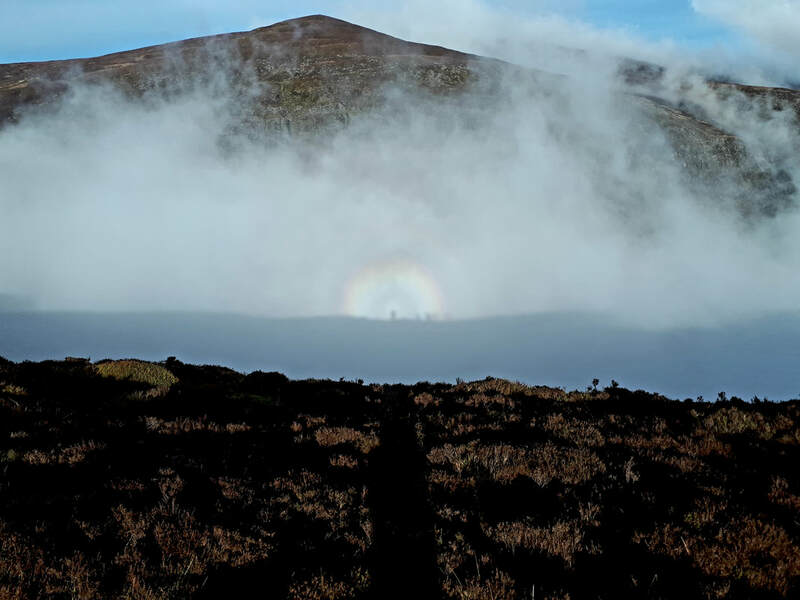 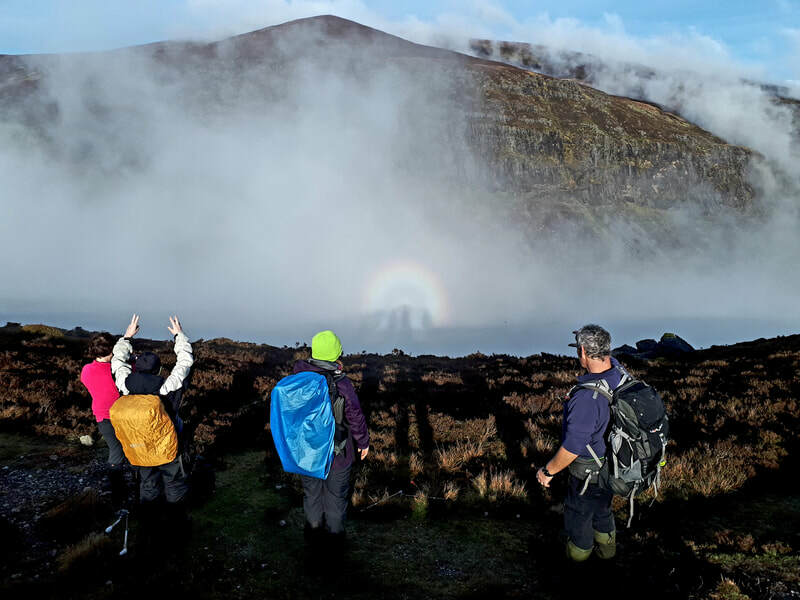 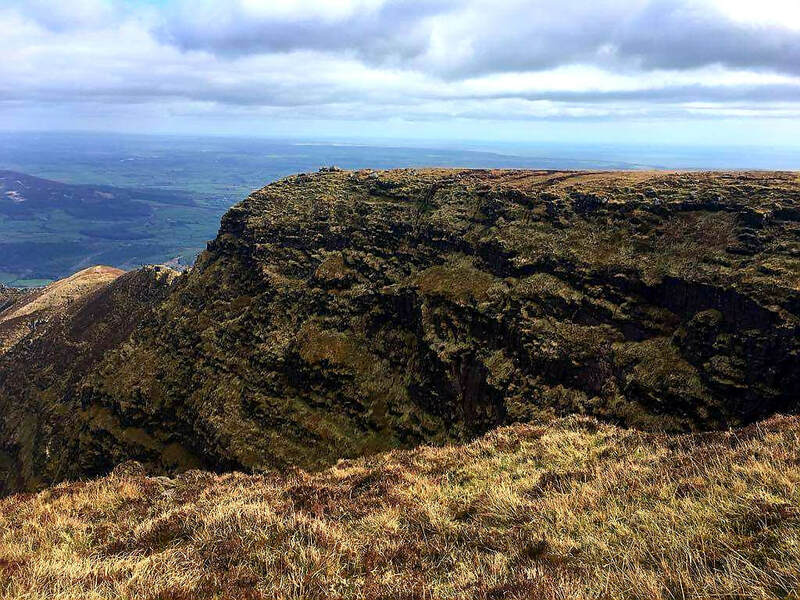 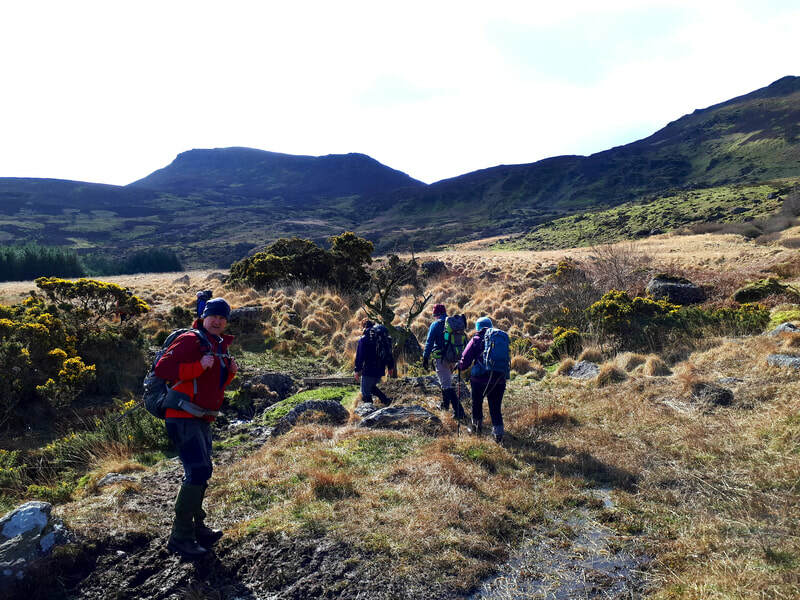 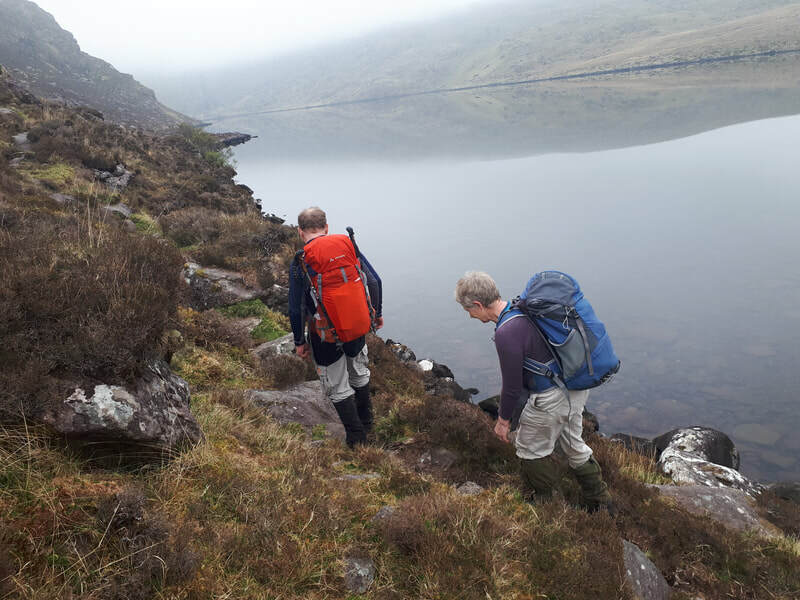 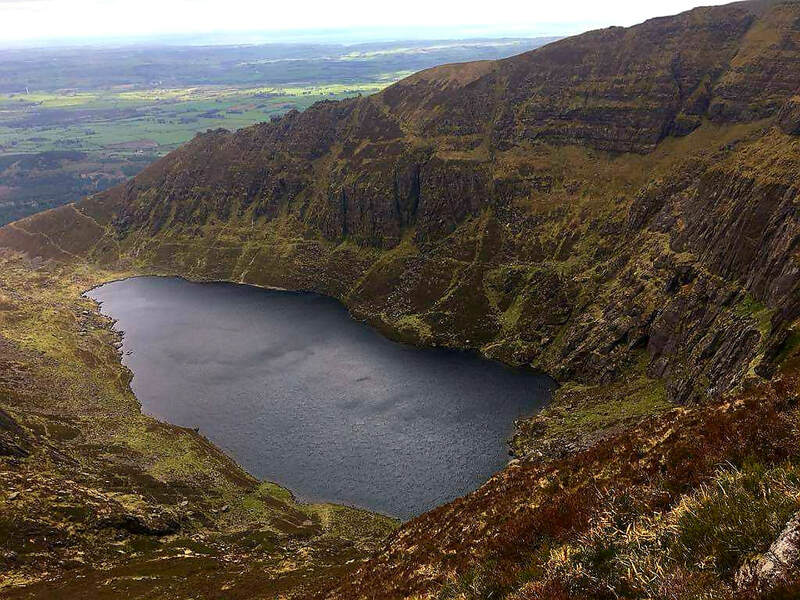 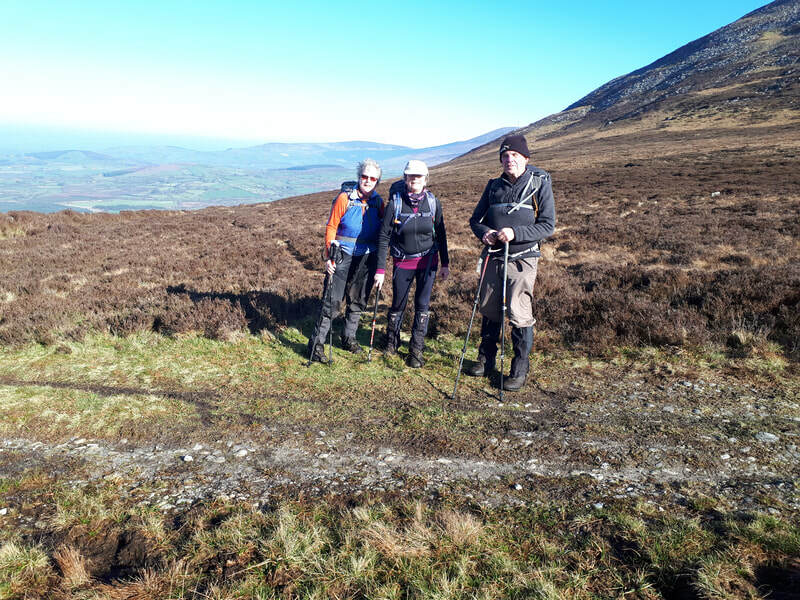 Sunday 28th April - Medium Hike in the Knockmealdown mountains - Contact John on 086-2772633, Walkers are meeting up at Barrack Street, Carlow for car pooling departing at 08.30 sharp. 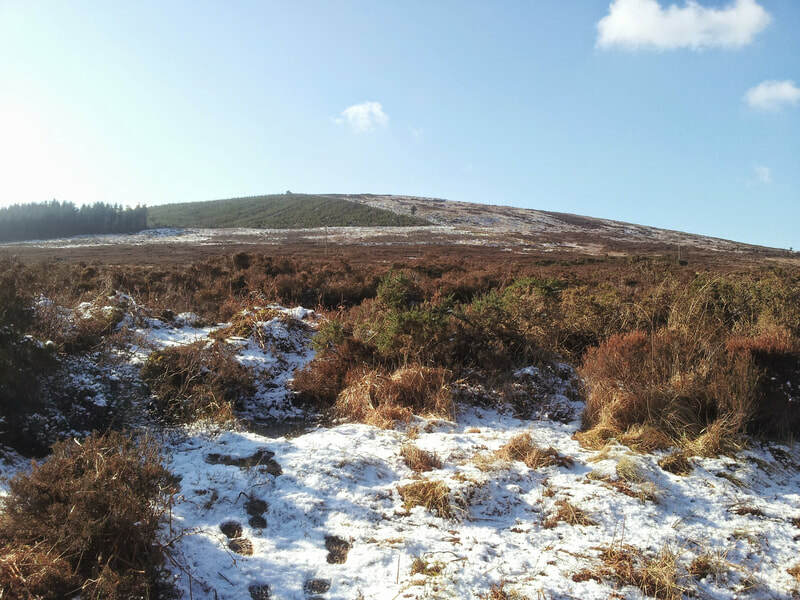 PLEASE NOTE EARLIER DEPARTURE TIME OF 08.30. 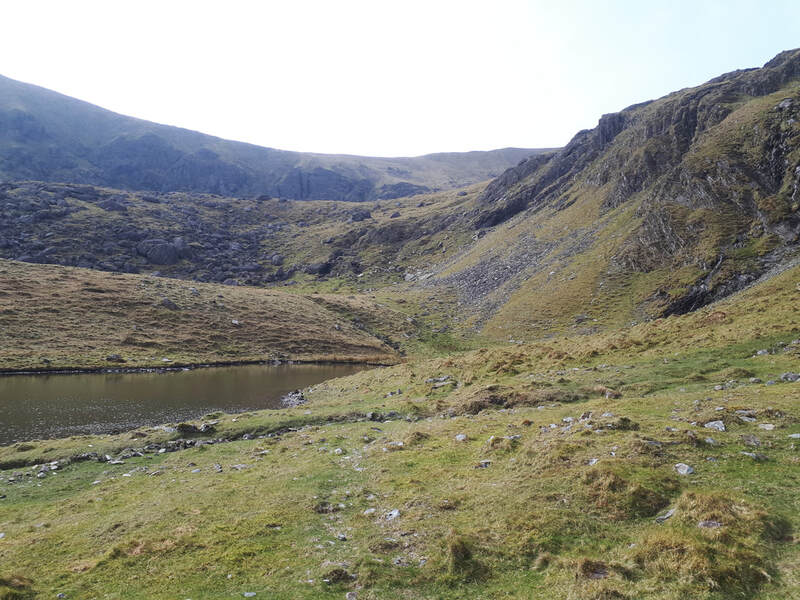 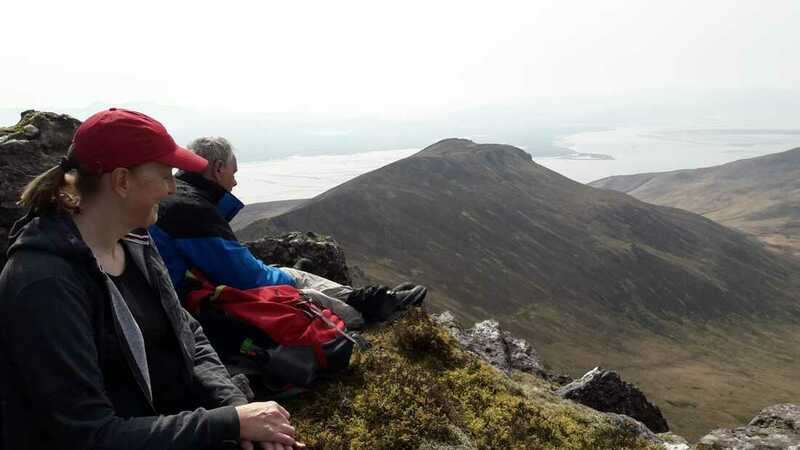 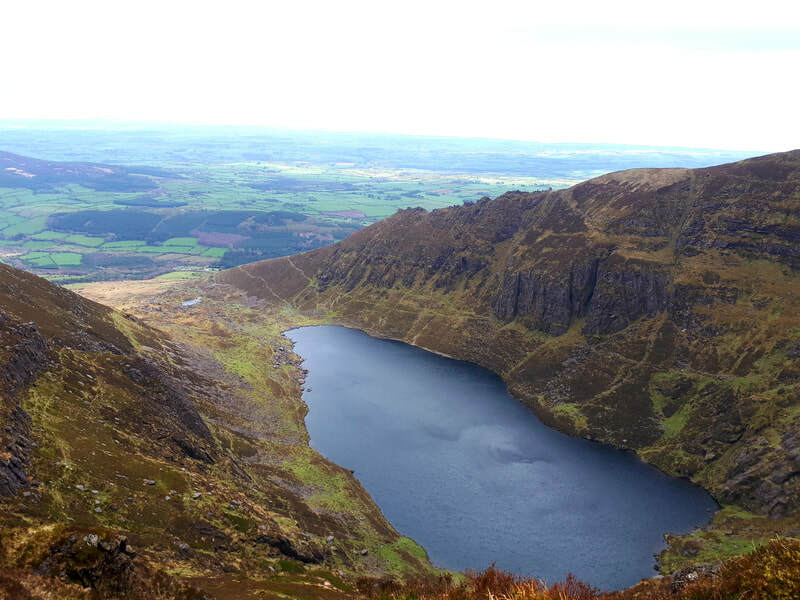 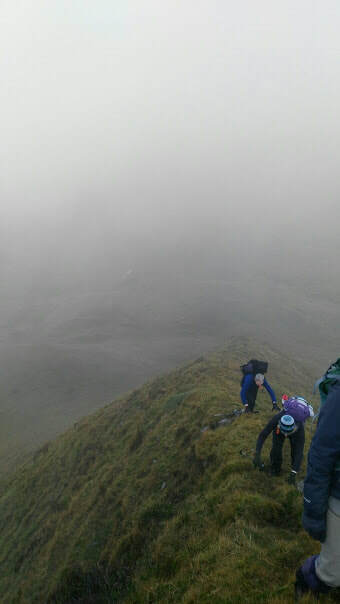 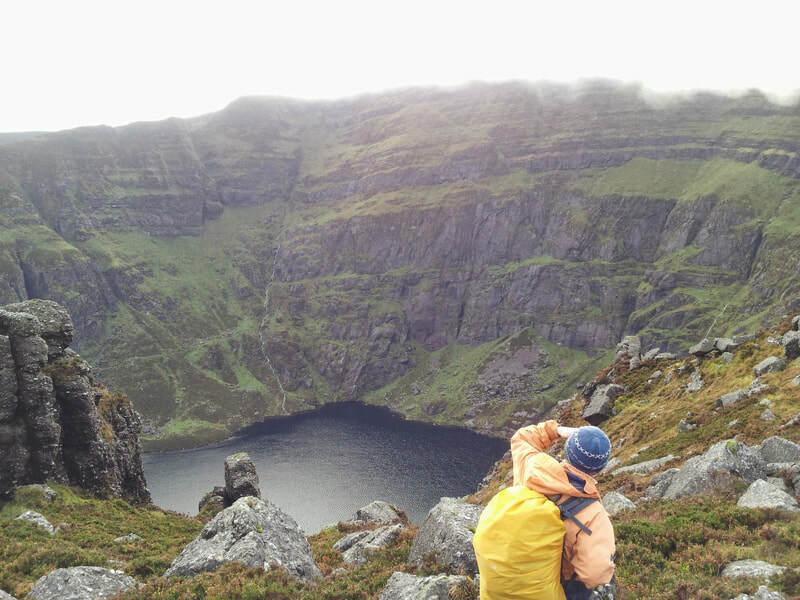 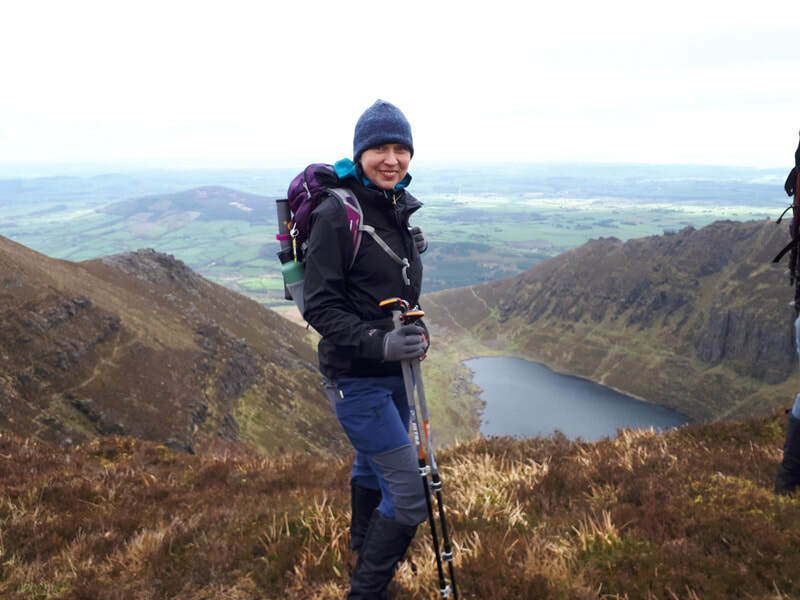 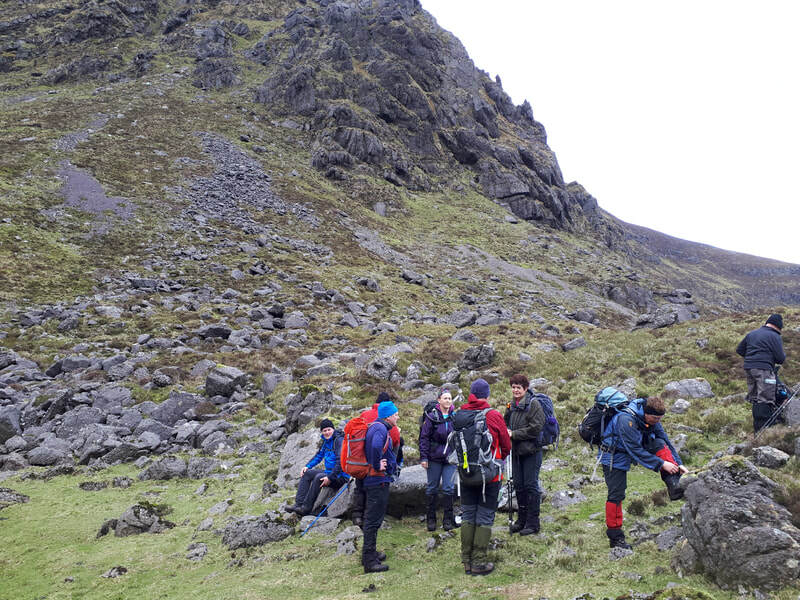 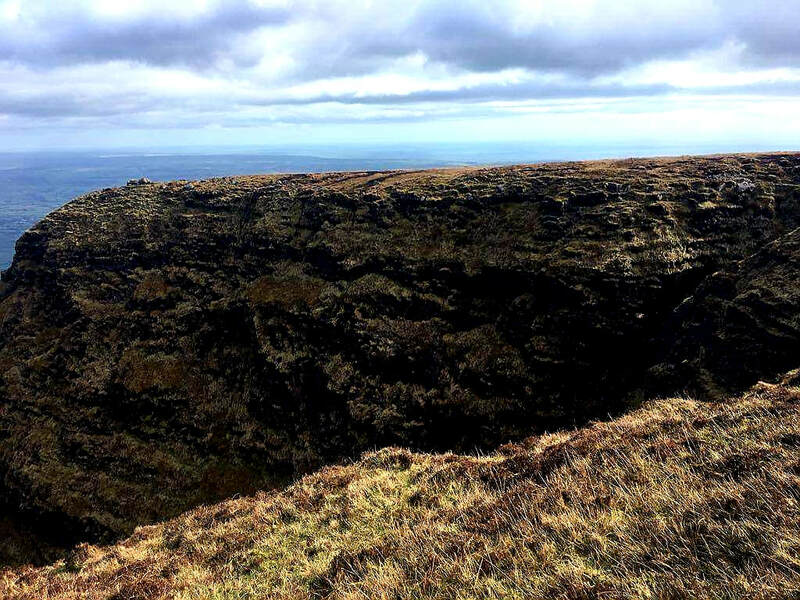 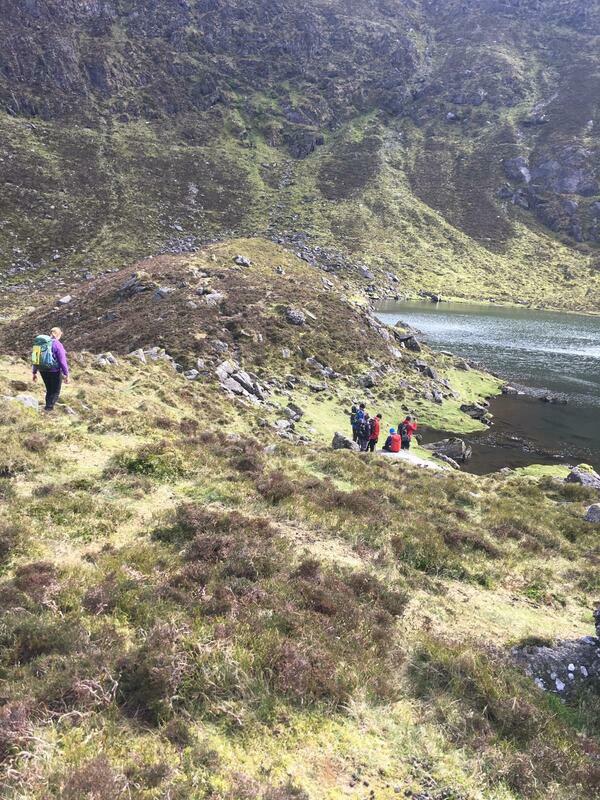 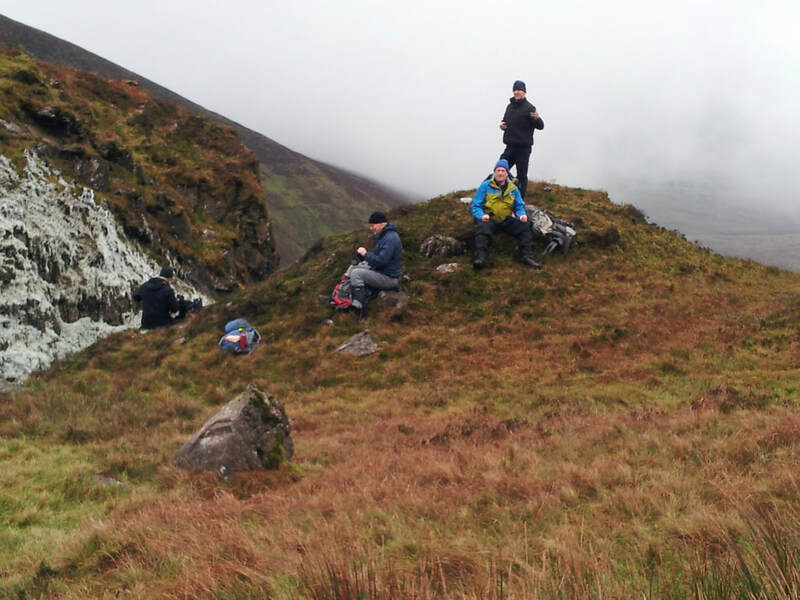 Photos from our Easter weekend in Dingle, 1st day the Derrymore Horseshoe and the 2nd day Faha Ridge via Loch Cruite. 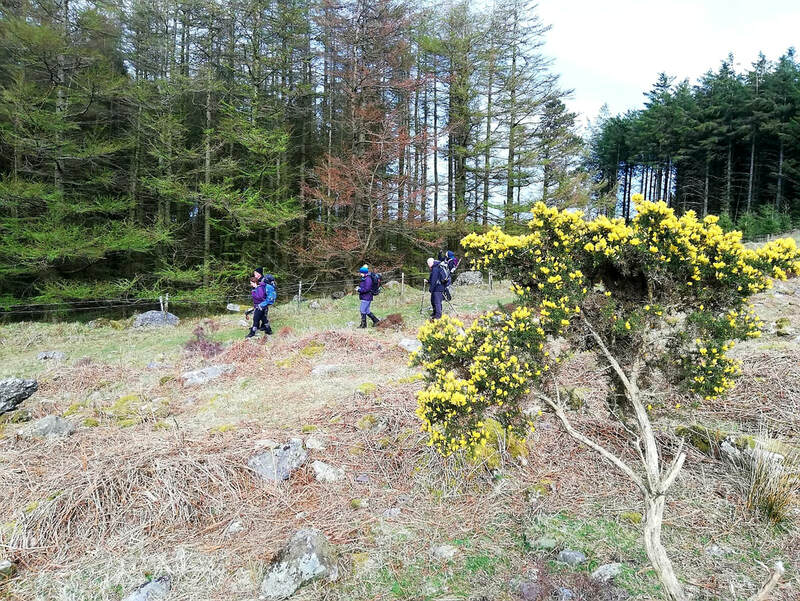 Events from Monday 8th April 2019 to Sunday 14th April 2019. 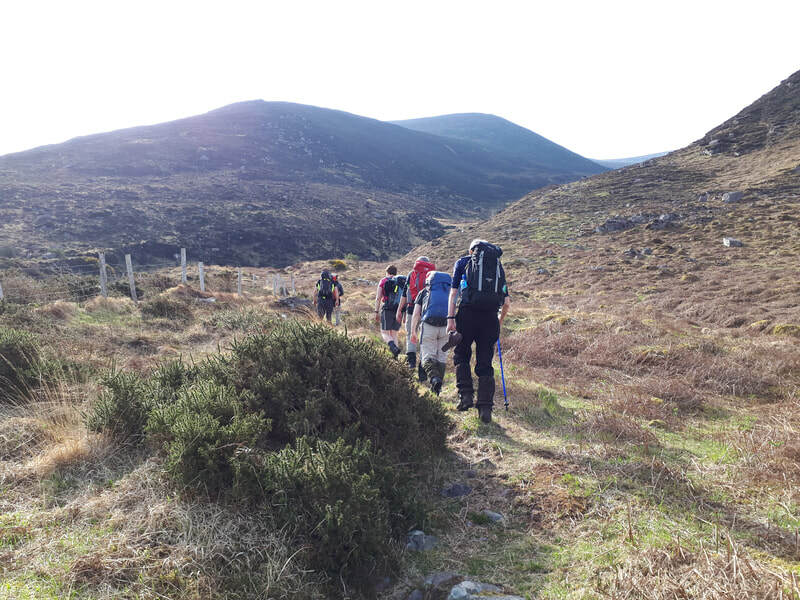 Friday 12th April - Medium Night Hike for more details - Contact John on 086-2772633. 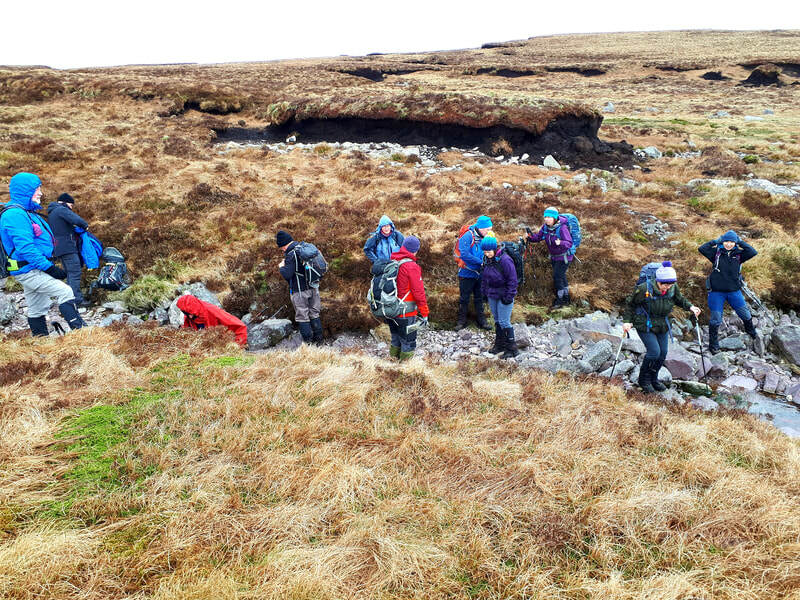 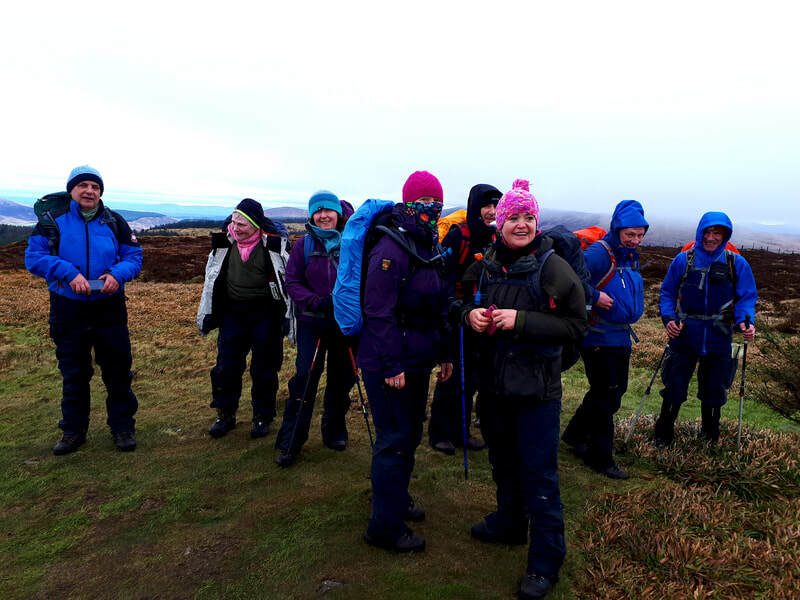 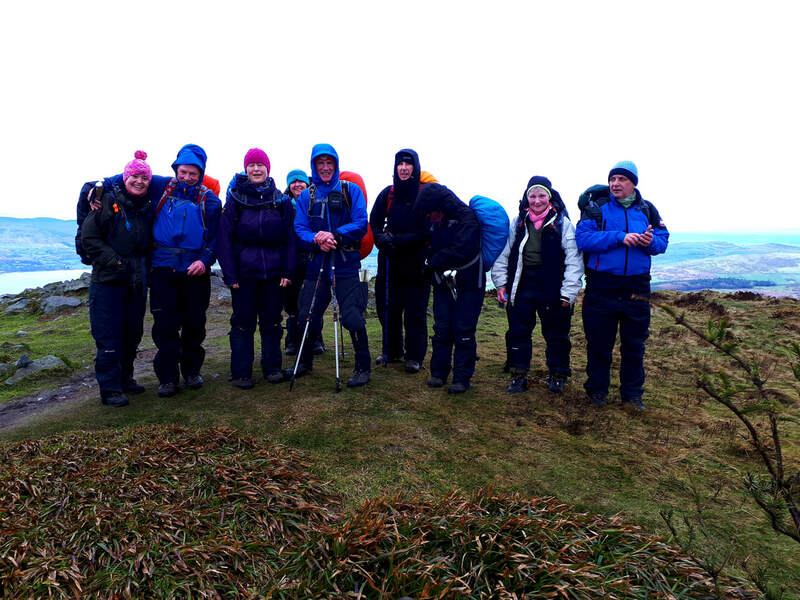 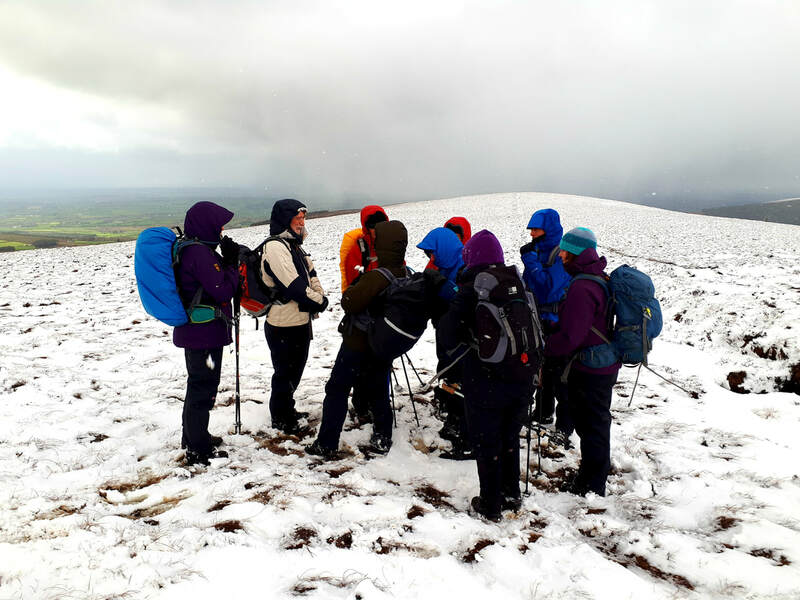 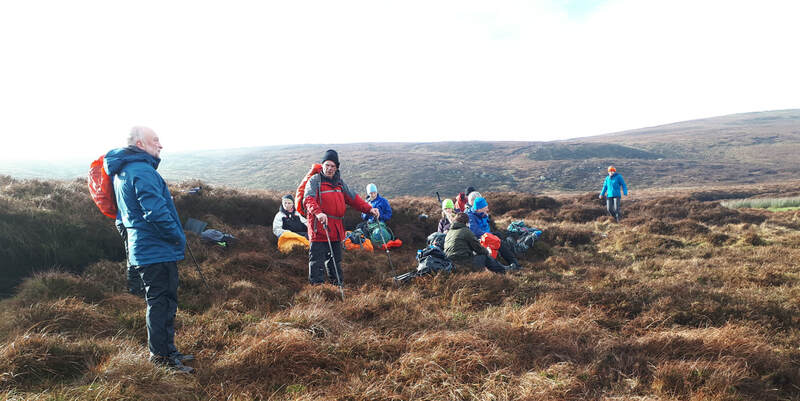 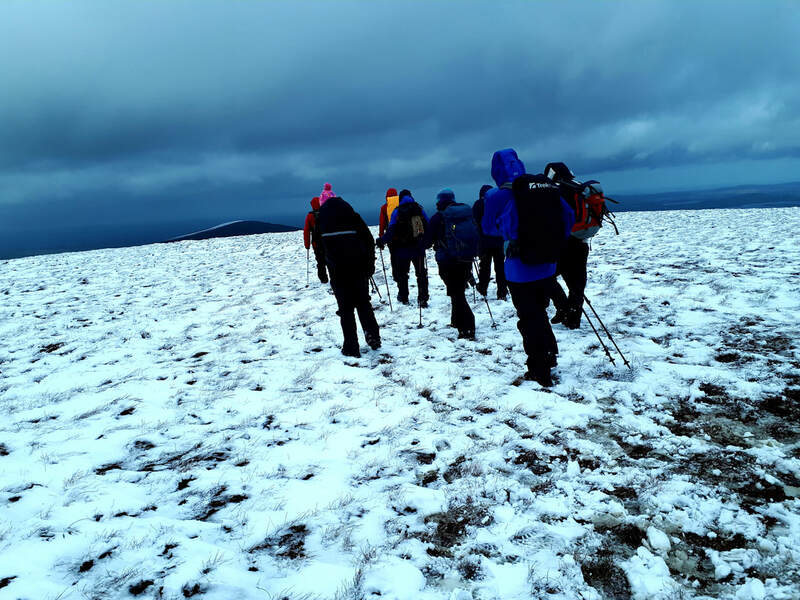 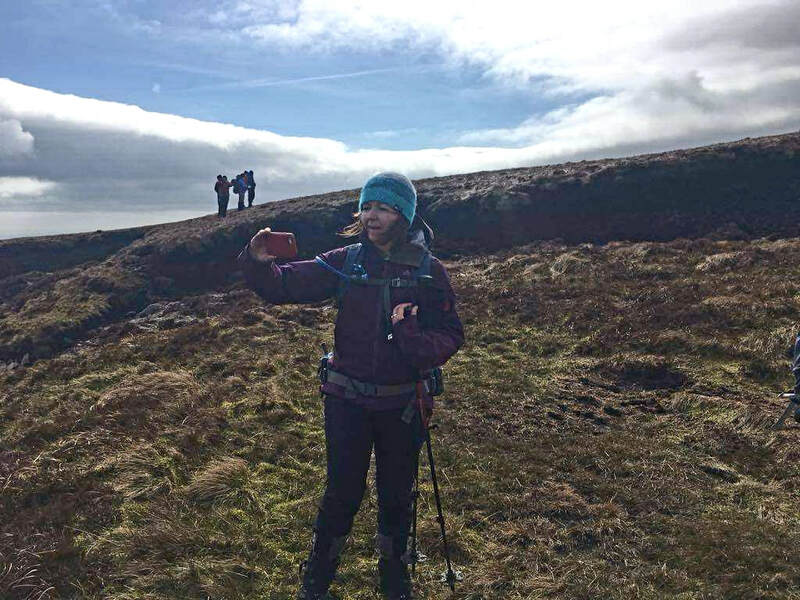 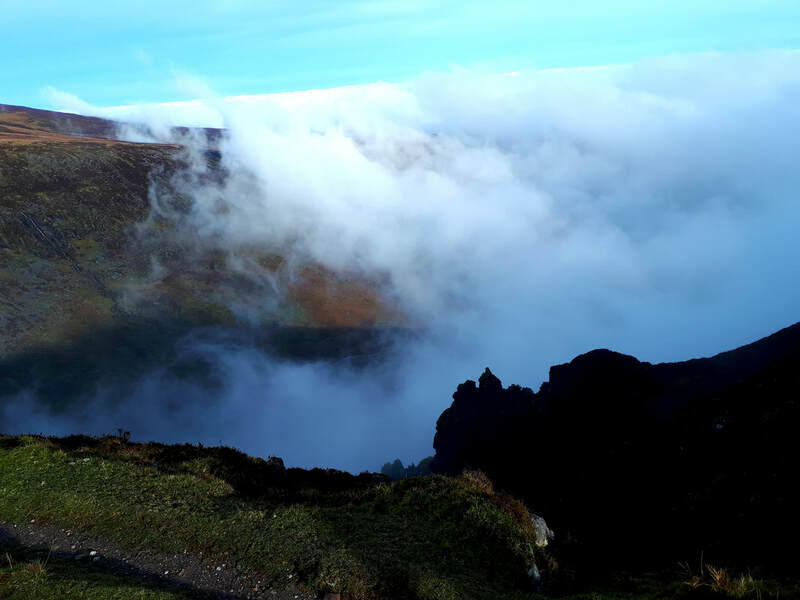 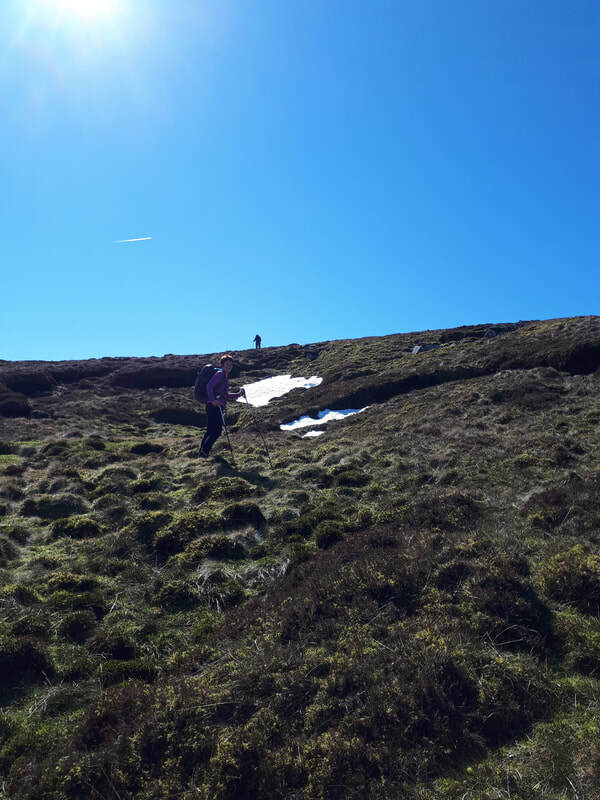 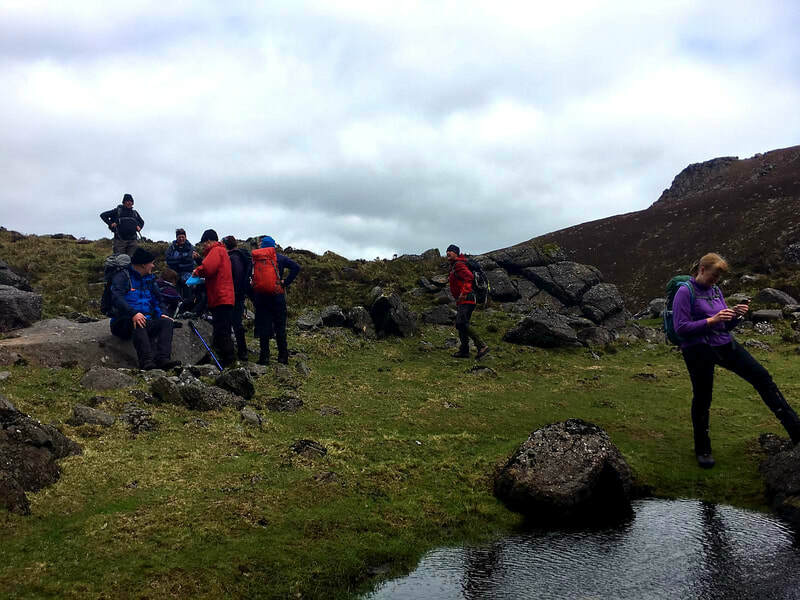 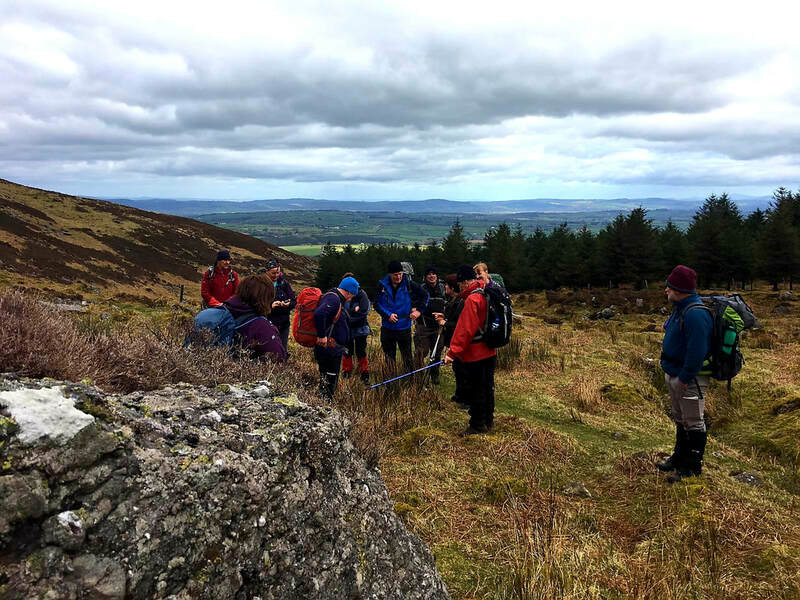 Sunday 14th April - Medium Hike in the Galtee Mountains - Contact Padraig on 087-6602799, Walkers are meeting up at Barrack Street, Carlow for car pooling departing at 08.30 sharp. 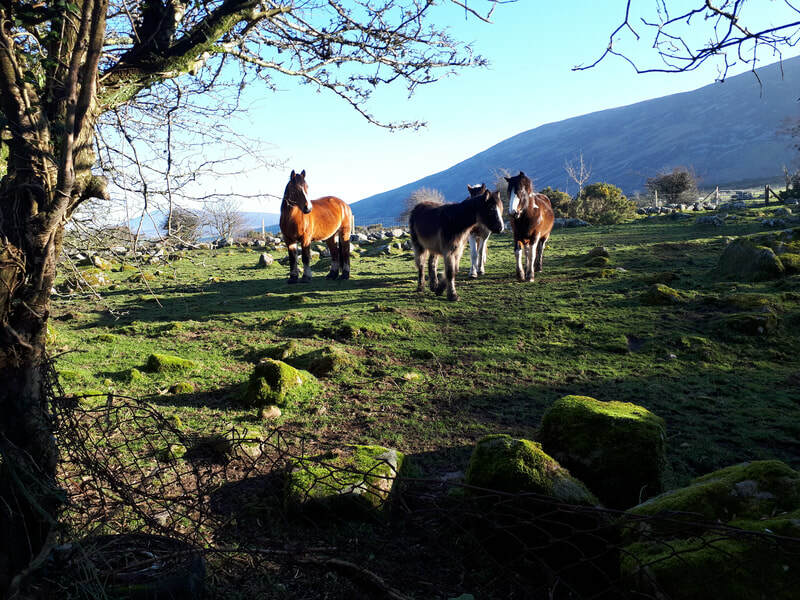 PLEASE NOTE EARLIER DEPARTURE TIME OF 08.30. 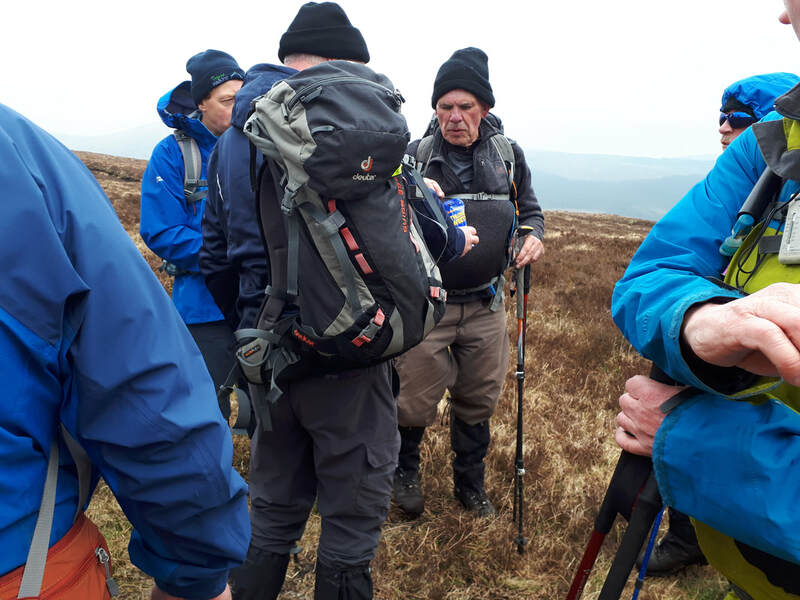 Events from Monday 18th March 2019 to Sunday 24th March 2019. 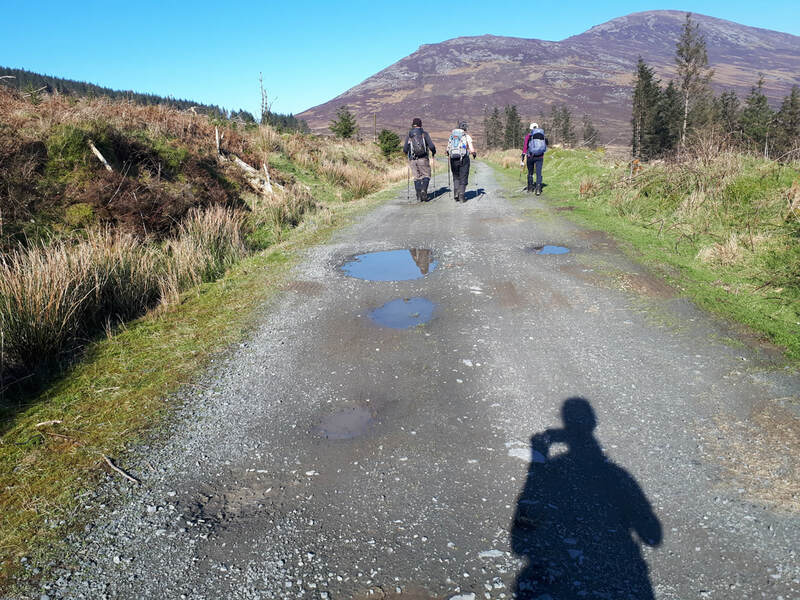 ​Wednesday 20th March - Evening Walk - Contact Barry on 086-1098244. 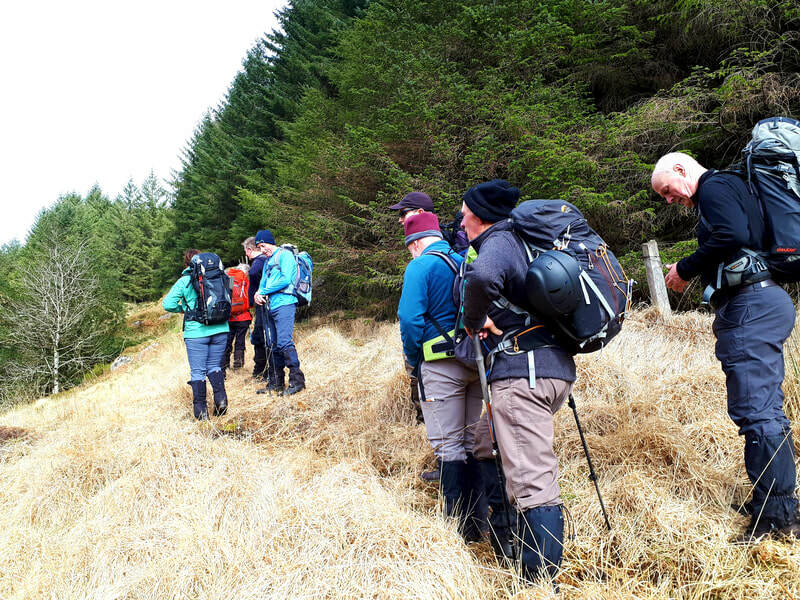 Meeting at Askea Church Car Park at 06.20 for car pooling and departing at 6.30pm. 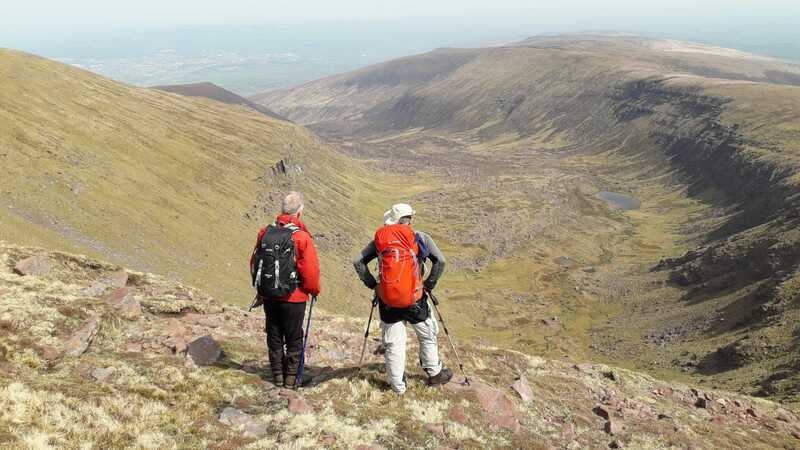 Friday 22nd March - Medium Night Hike for more details - Contact John on 086-2772633. 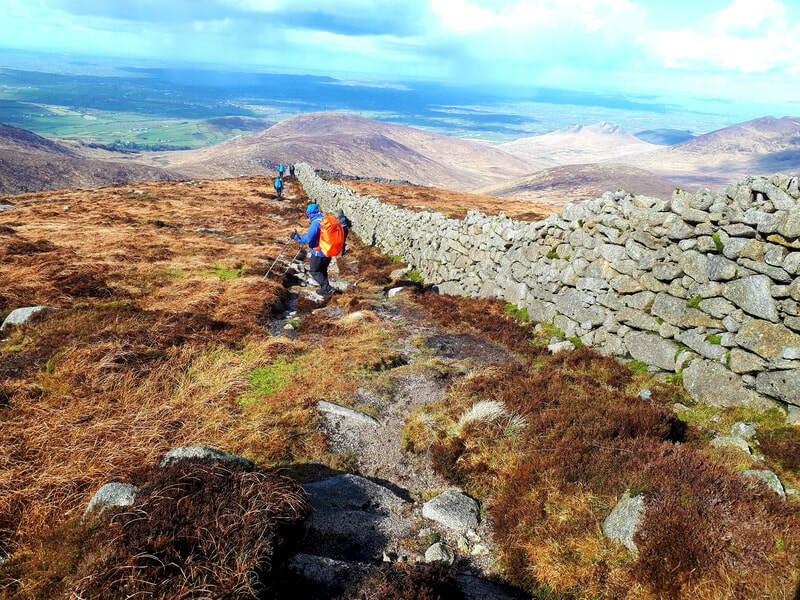 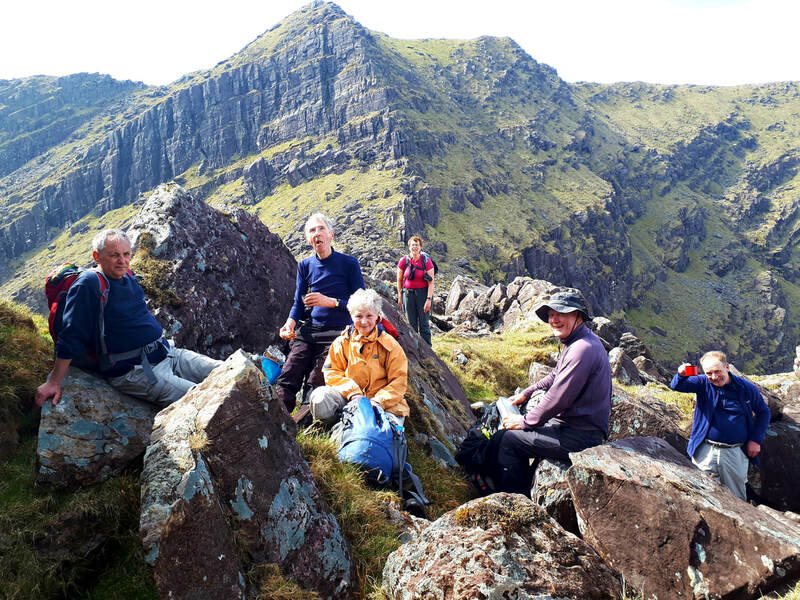 Tullow Mountaineering Club Information Evening. 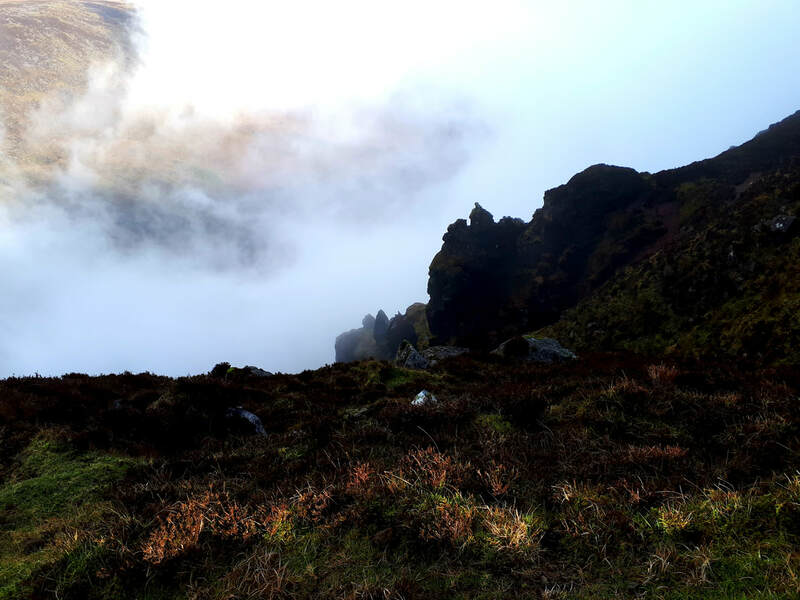 John Byrne hosting and information evening, details on poster below. 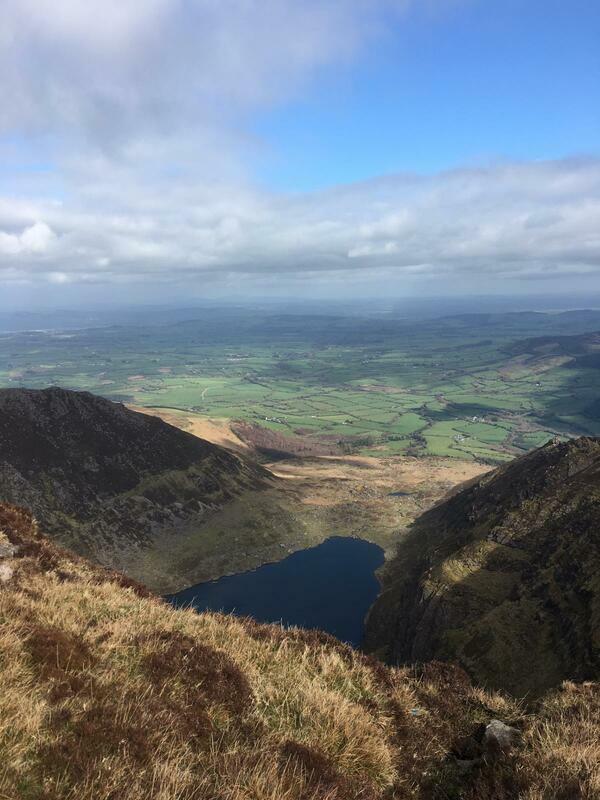 Events from Monday 11th March 2019 to Sunday 17th March 2019. 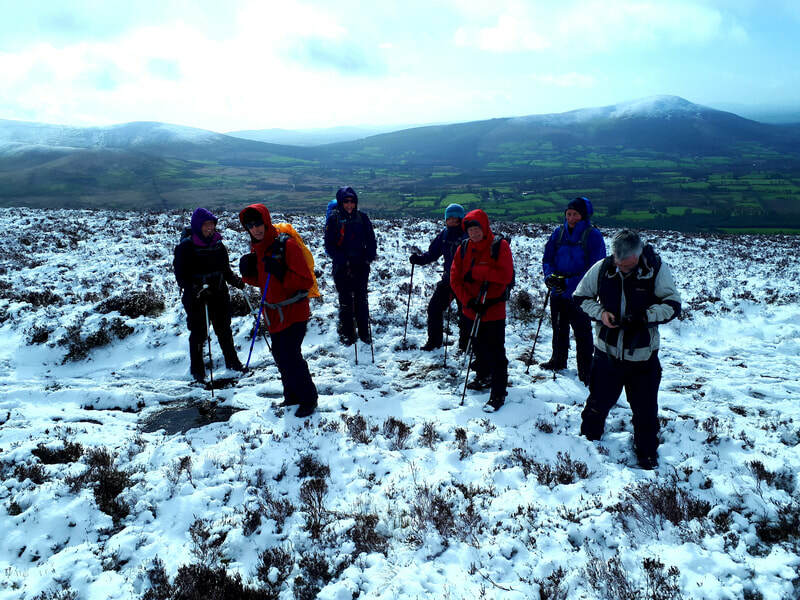 ​Wednesday 13th February - Evening Walk - Contact Barry on 086-1098244. 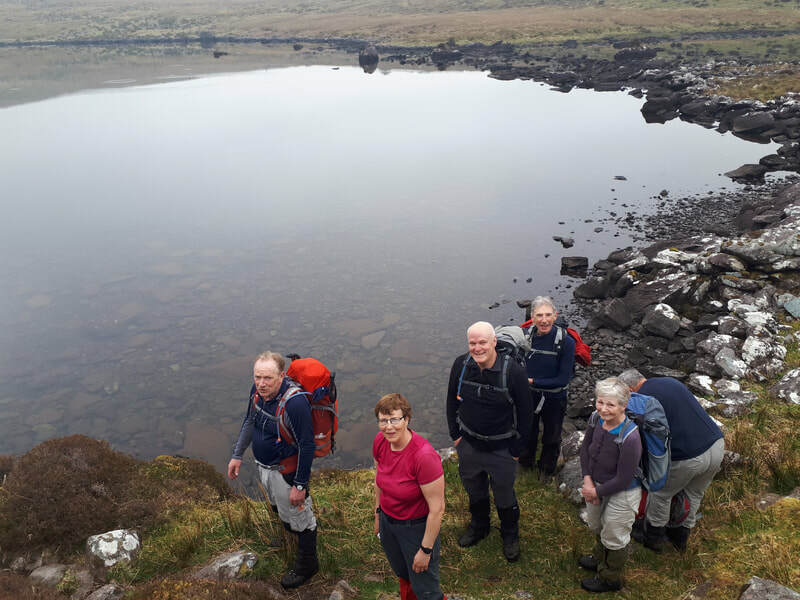 Meeting at Askea Church Car Park at 06.20 for car pooling and departing at 6.30pm. 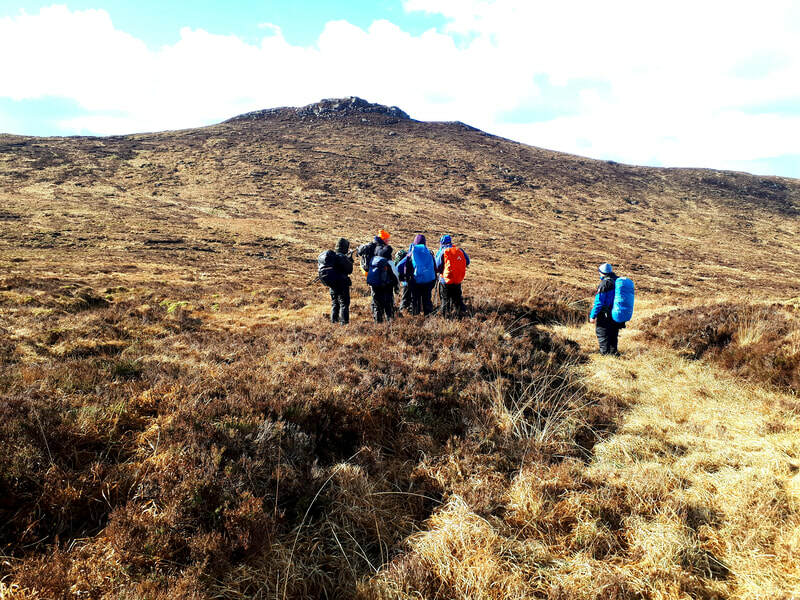 Friday 15th March - Medium Night Hike for more details - Contact John on 086-2772633. 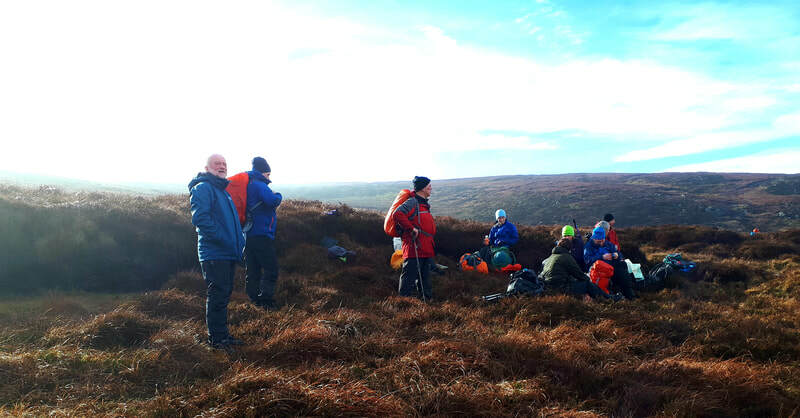 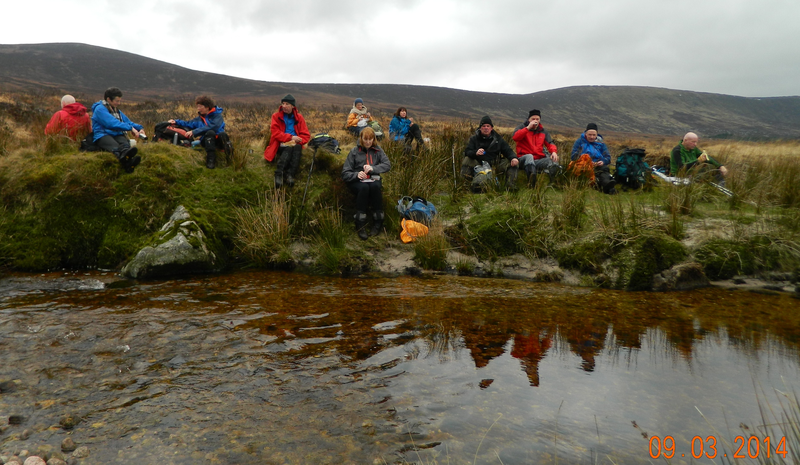 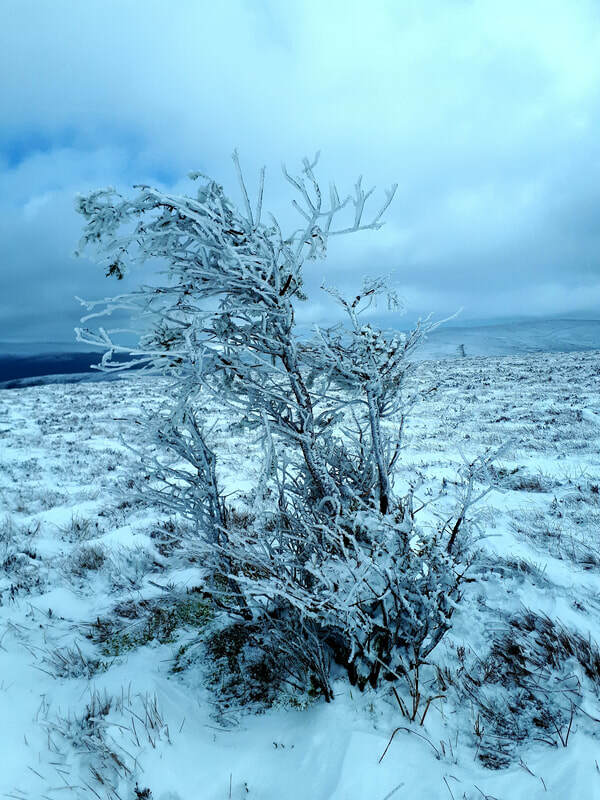 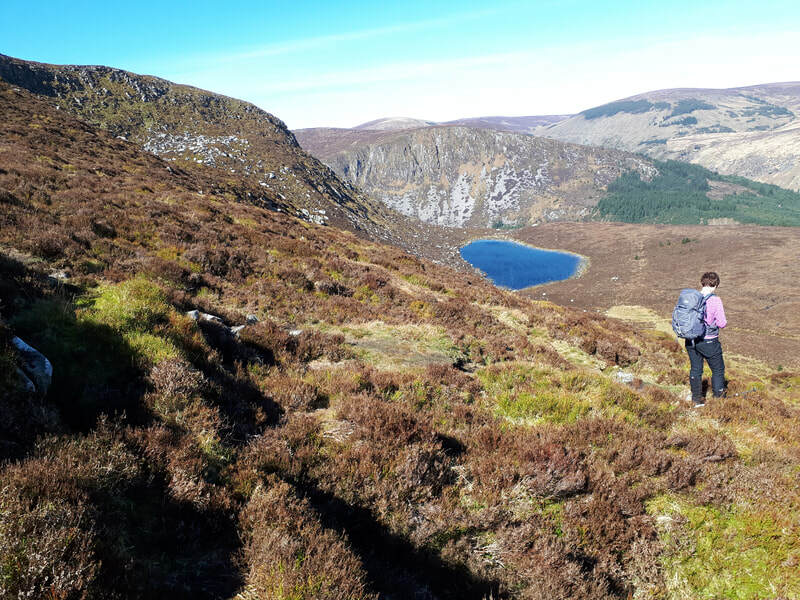 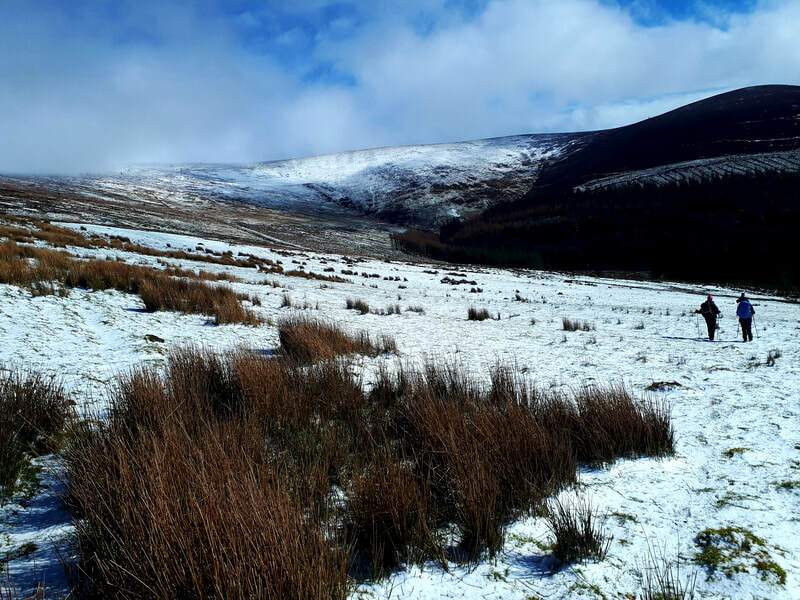 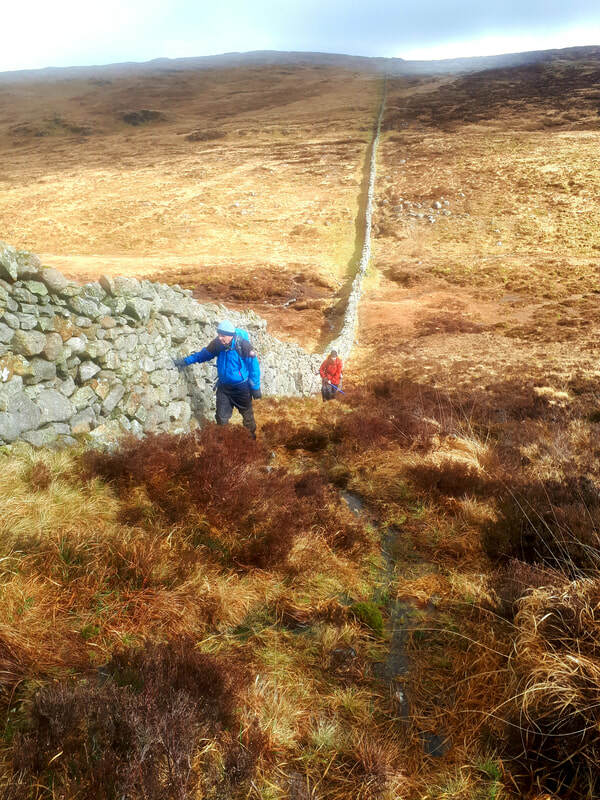 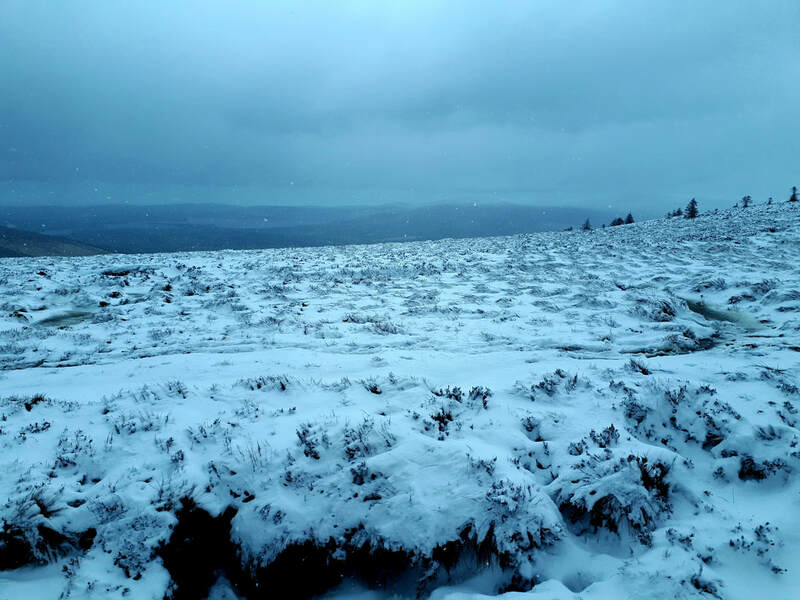 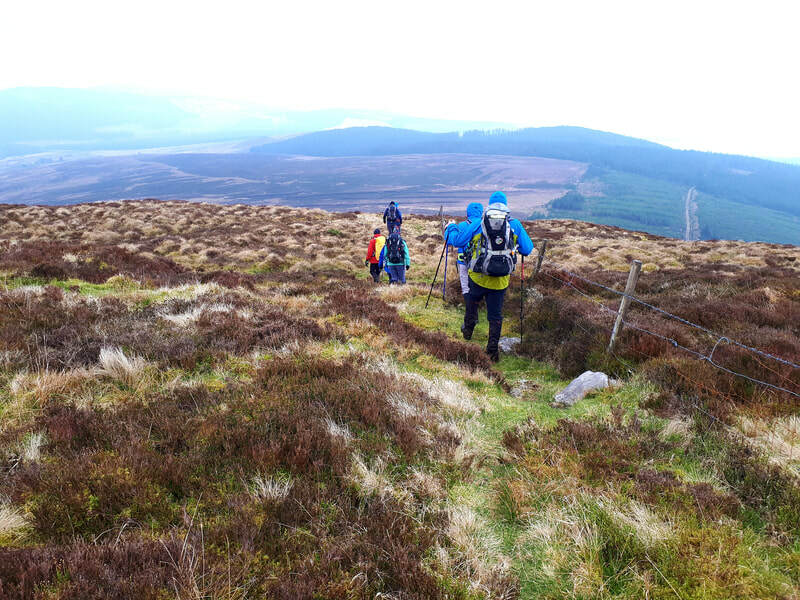 Sunday 17th March - Medium Hike in the Wicklow Mountains - Contact Barry on 086-1098244, Walkers are meeting up at Barrack Street, Carlow for car pooling departing at 09.30 sharp. 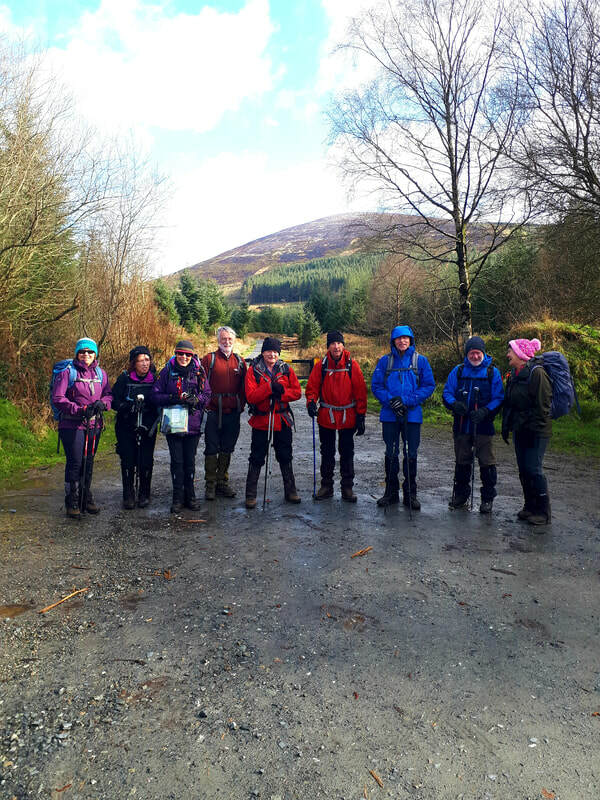 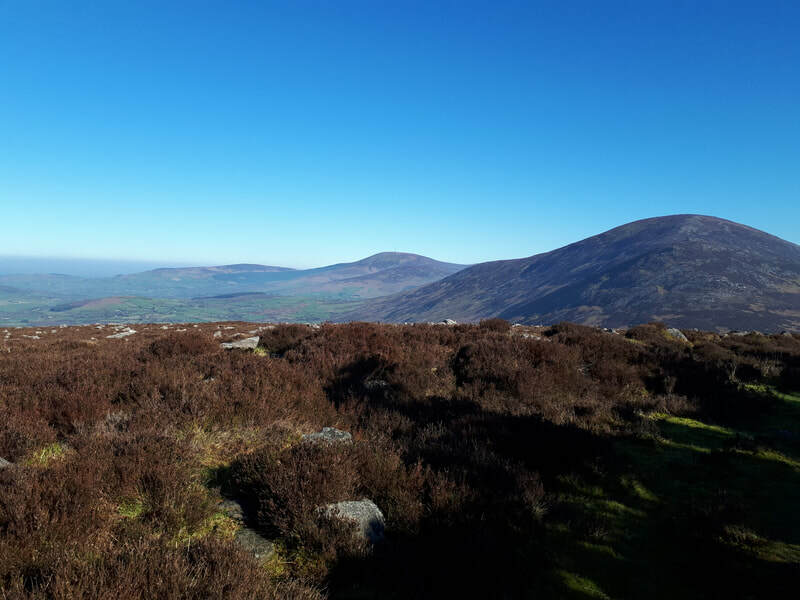 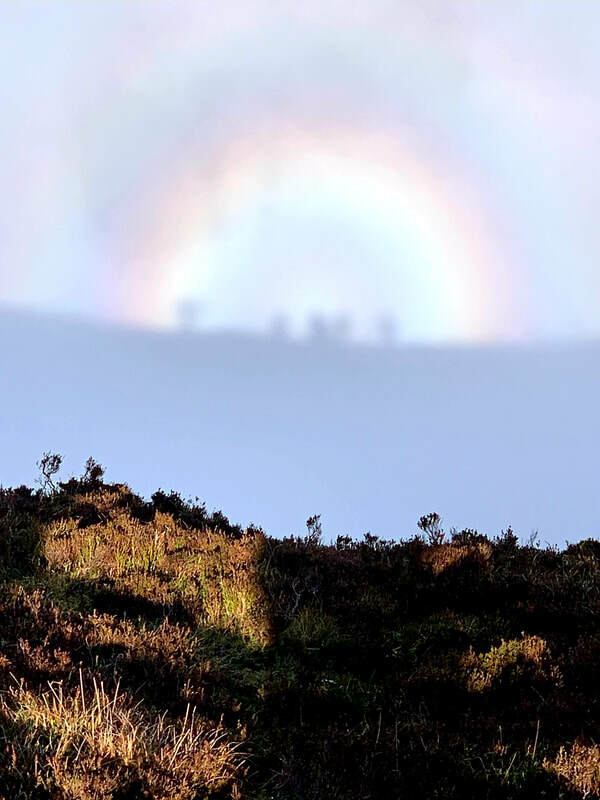 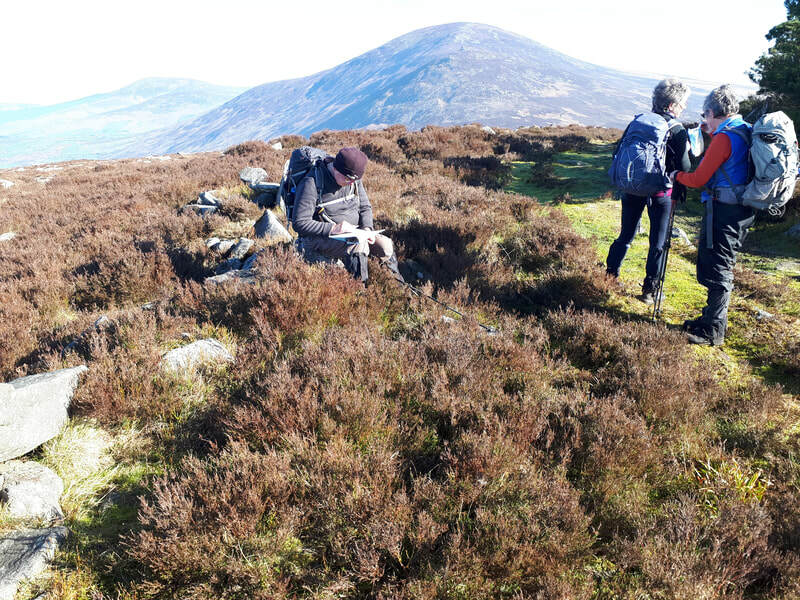 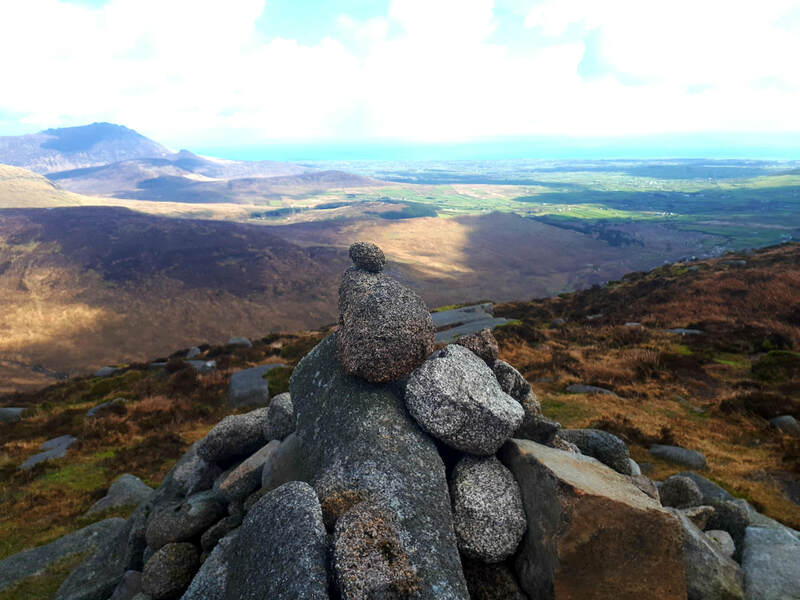 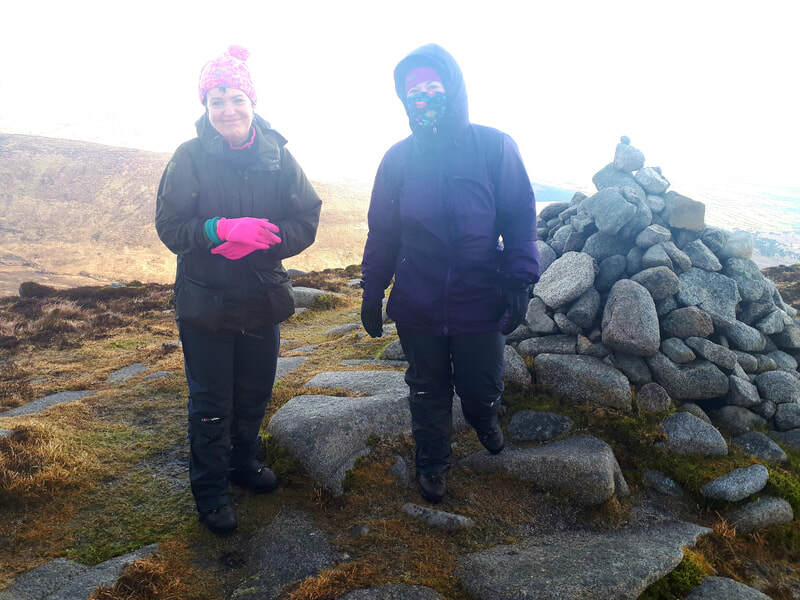 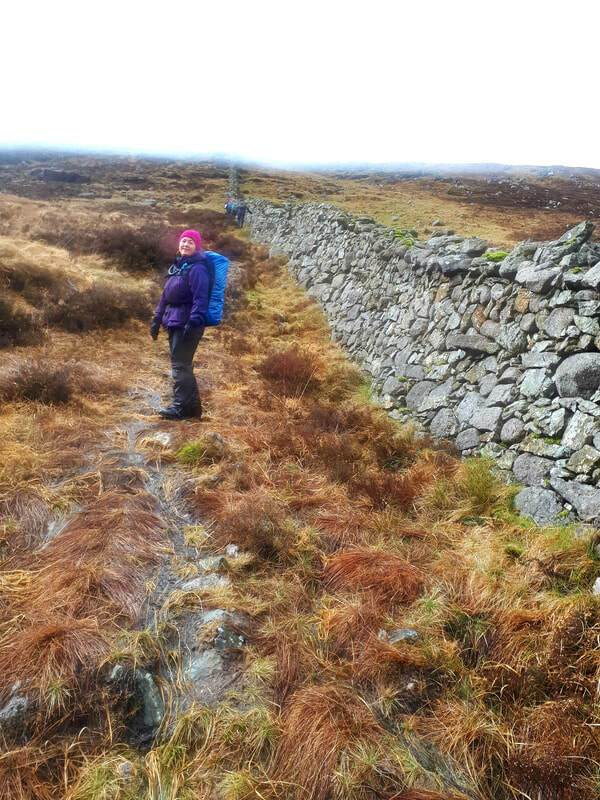 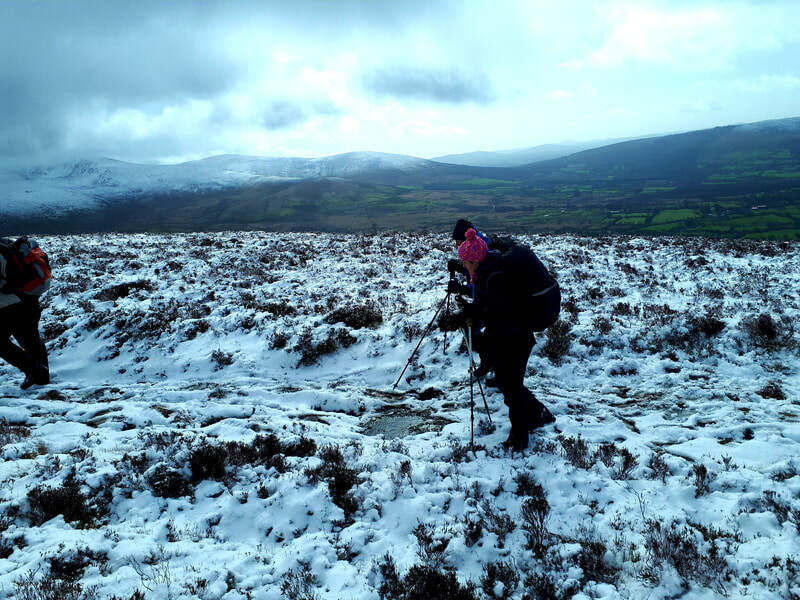 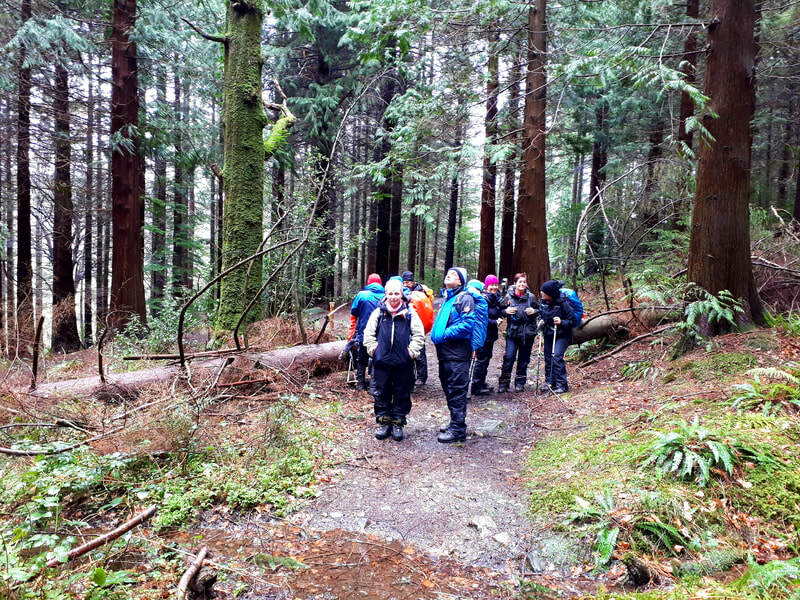 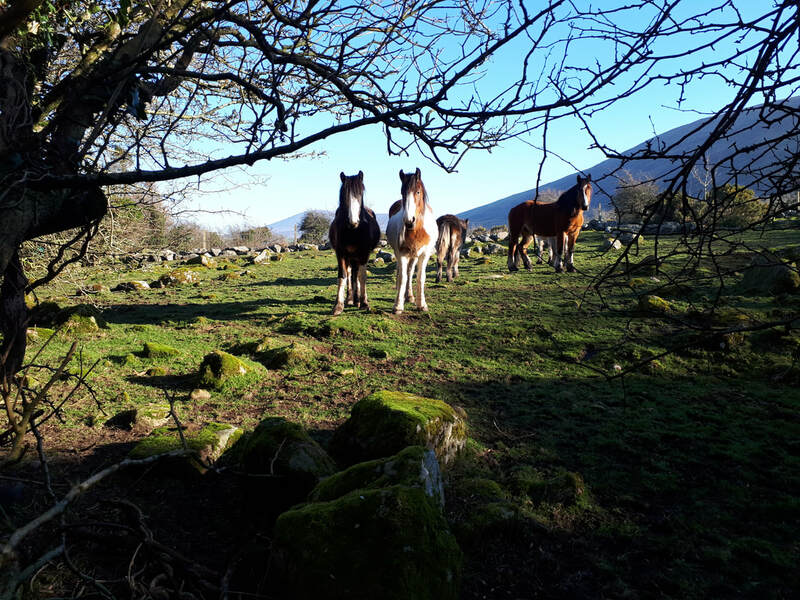 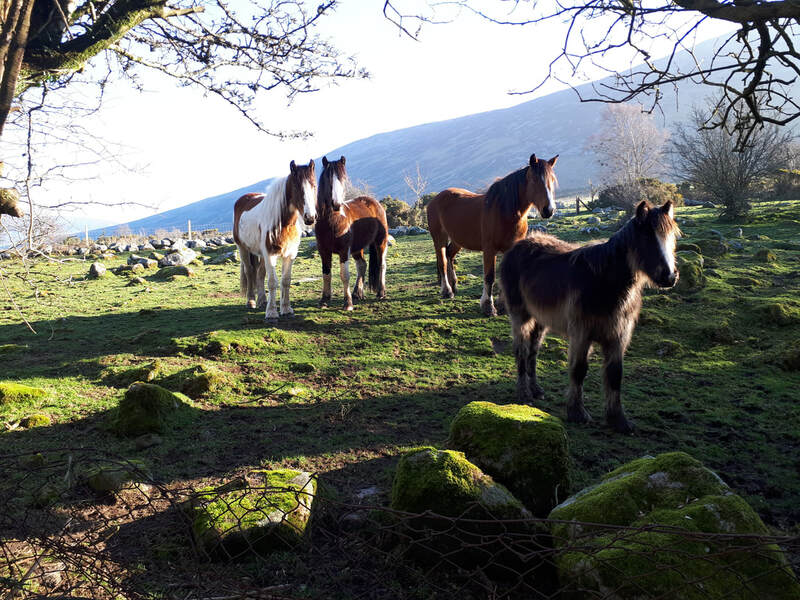 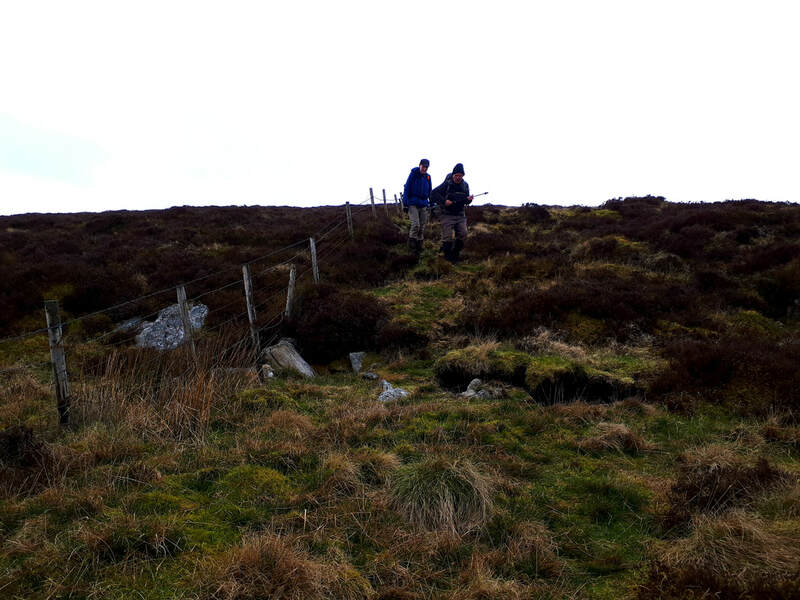 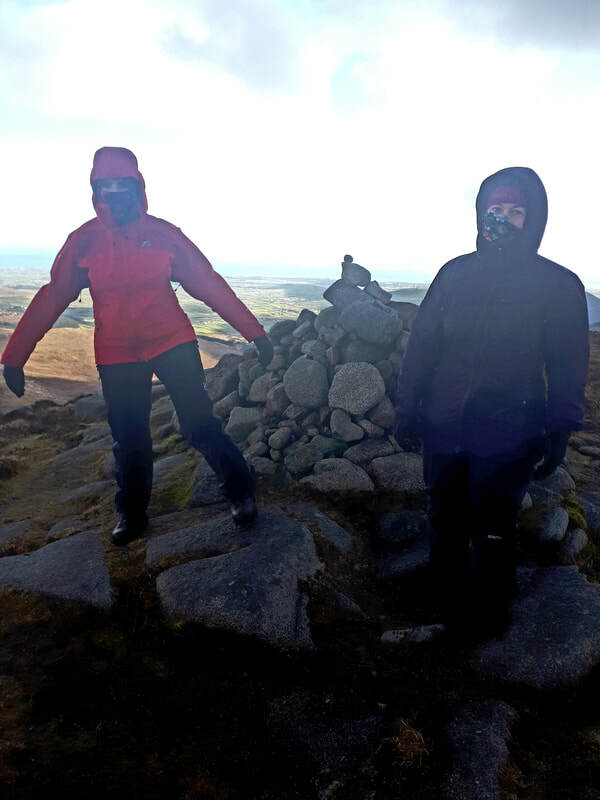 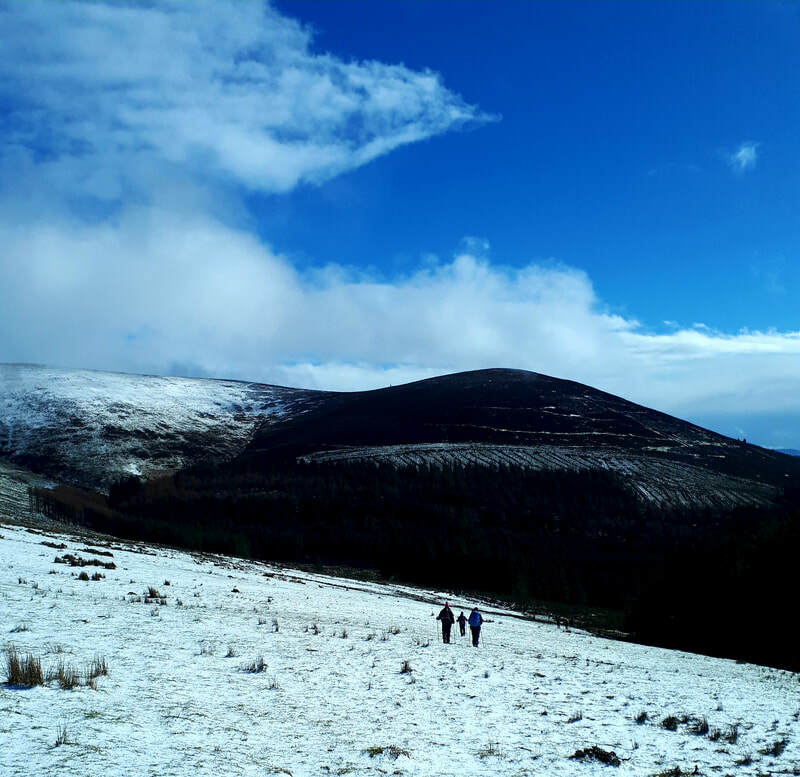 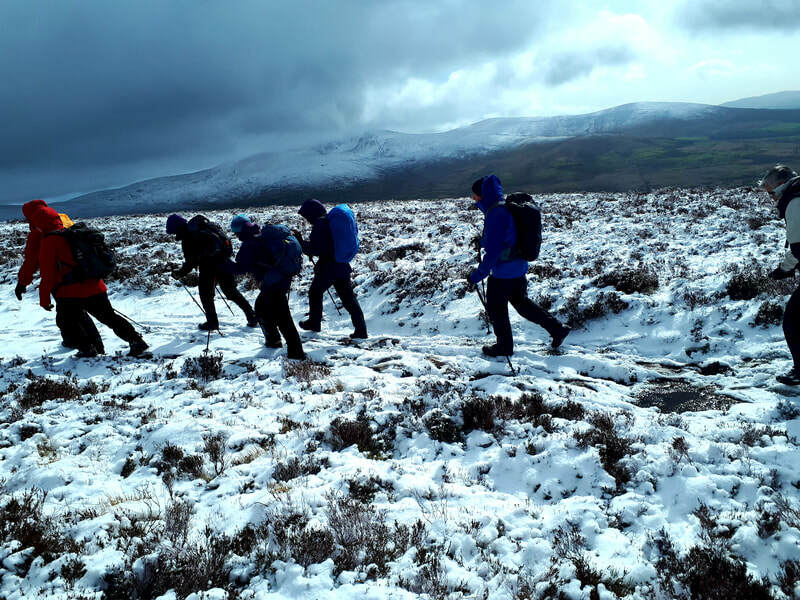 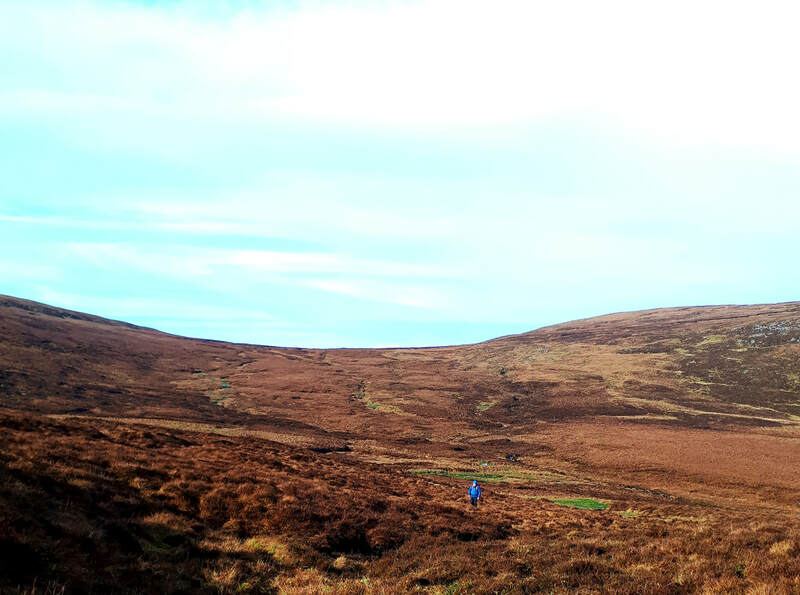 Photos from todays walk in Wicklow led by Con, we climed Sugarloaf, Logar and Lobawn and then decended back down by the forrest and tracks back to the start. 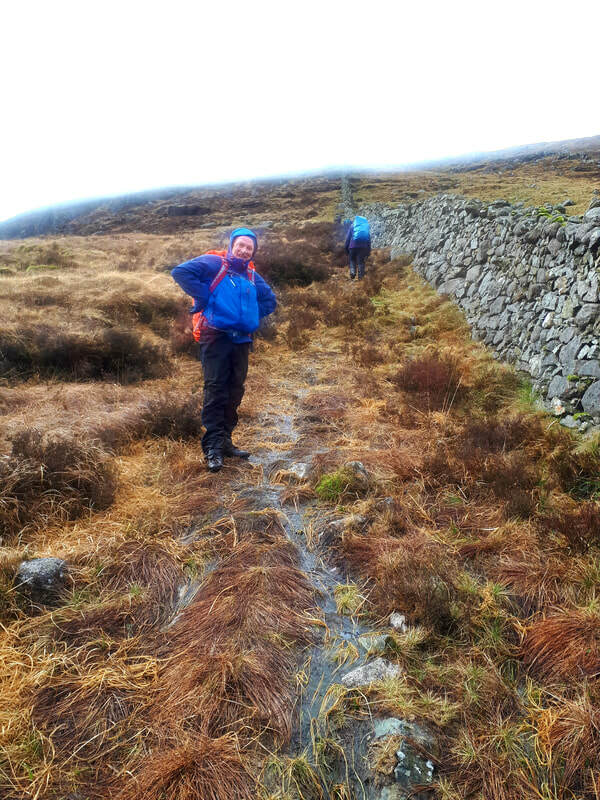 It was quite a cold windy day with a few showers of snow and biting hailstones. 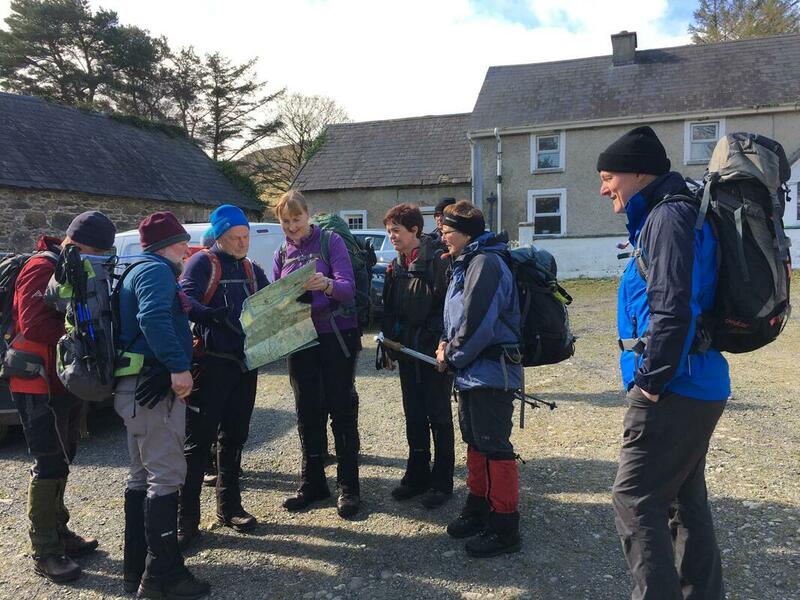 Events from Monday 4th March 2019 to Sunday 10th March 2019. 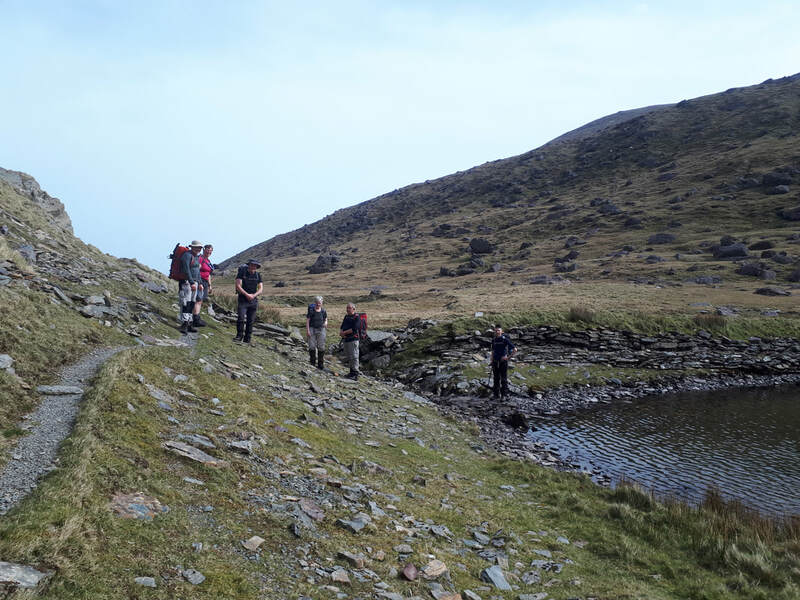 ​​Wednesday 6th February - Evening Walk - Contact Barry on 086-1098244. 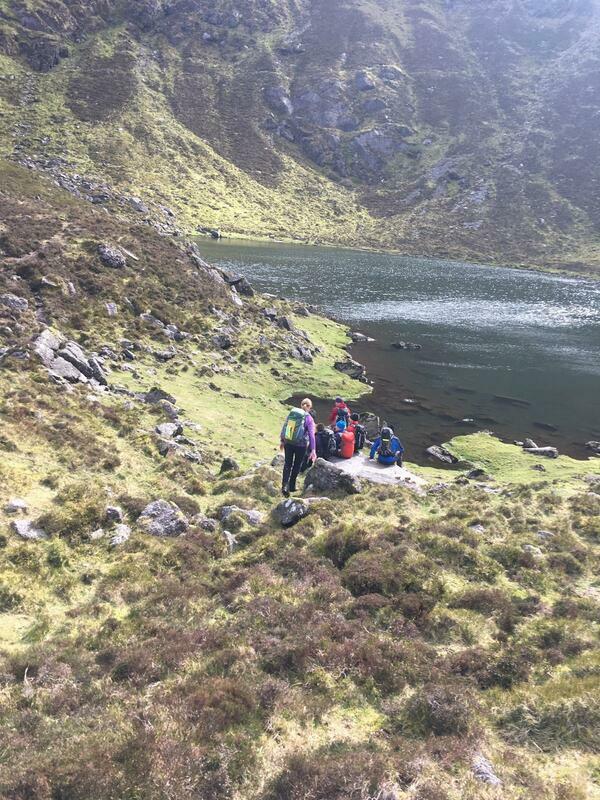 Meeting at Askea Church Car Park at 06.20 for car pooling and departing at 6.30pm. 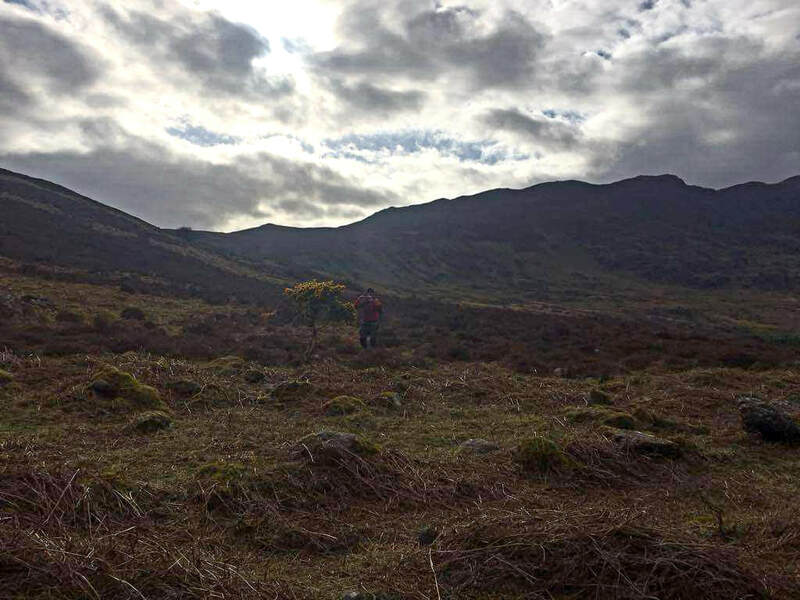 Friday 8th March - Medium Night Hike for more details - Contact John on 086-2772633. 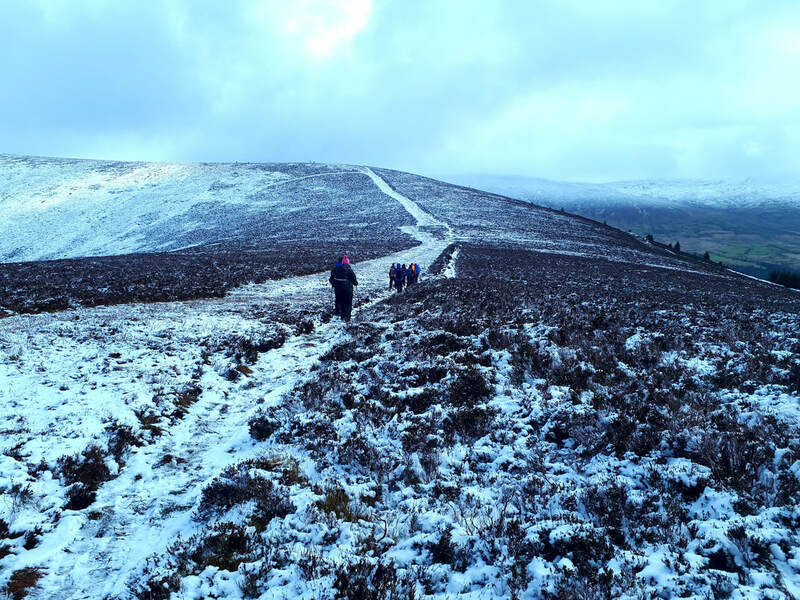 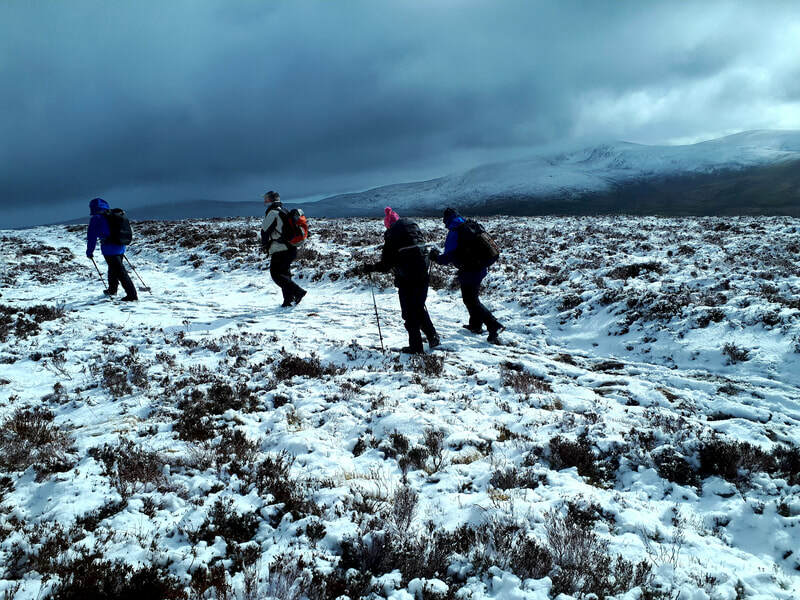 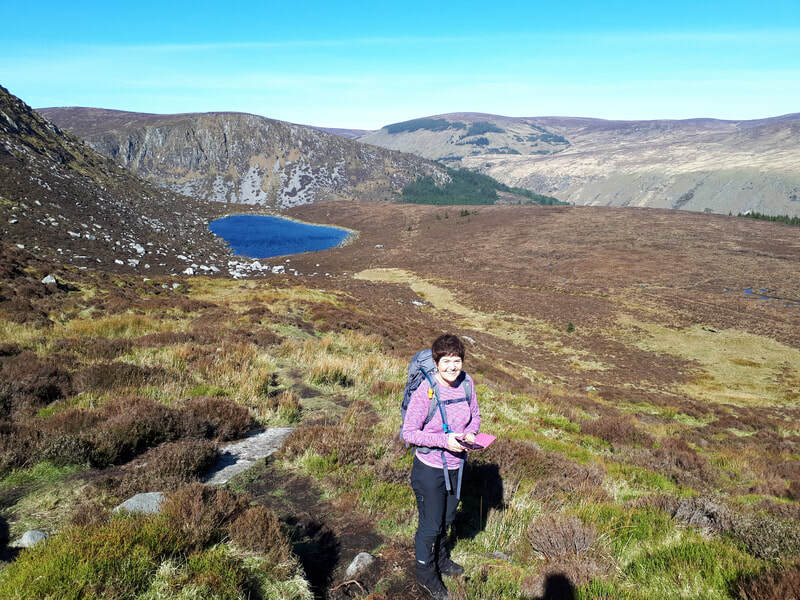 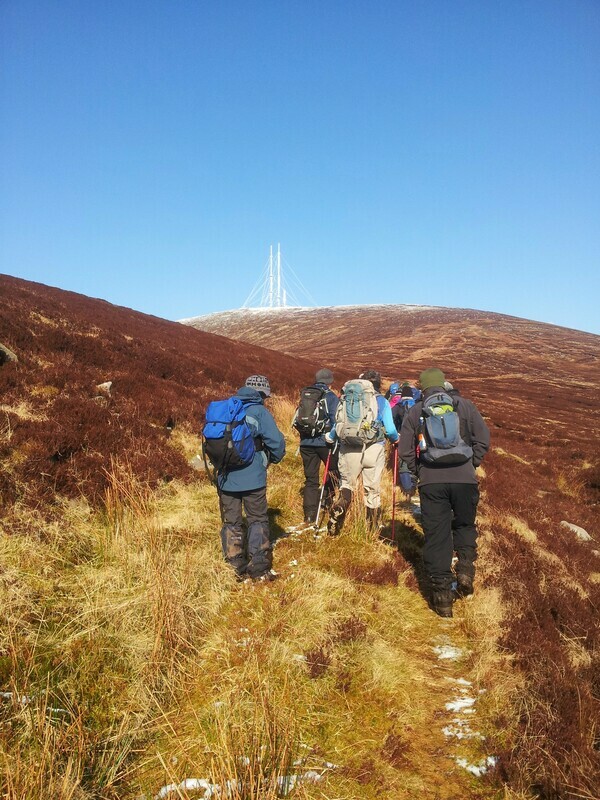 Sunday 10th March - Easy Hike in the Wicklow Mountains - Contact Con on 086-1240395, Walkers are meeting up at Barrack Street, Carlow for car pooling departing at 09.30 sharp. 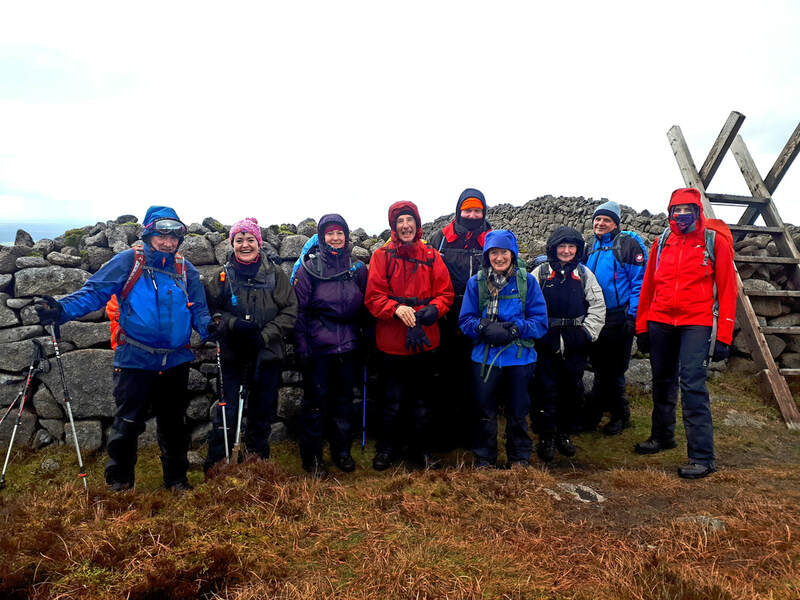 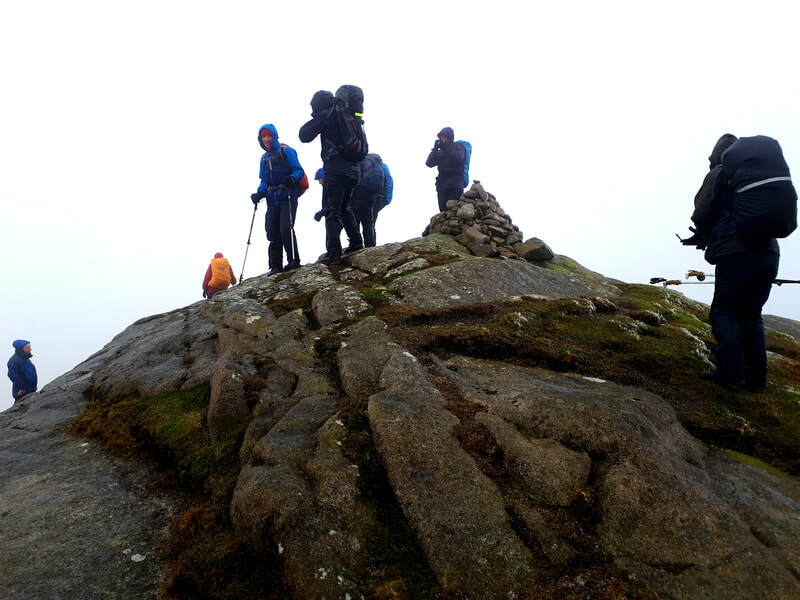 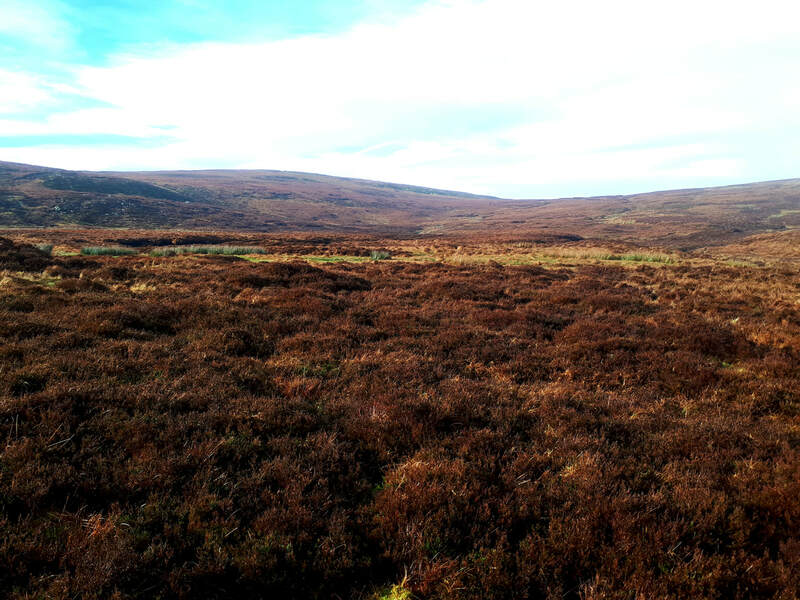 Photos are from last Thursday recce of todays walk which we unfortunately could not due to the weather conditions today. 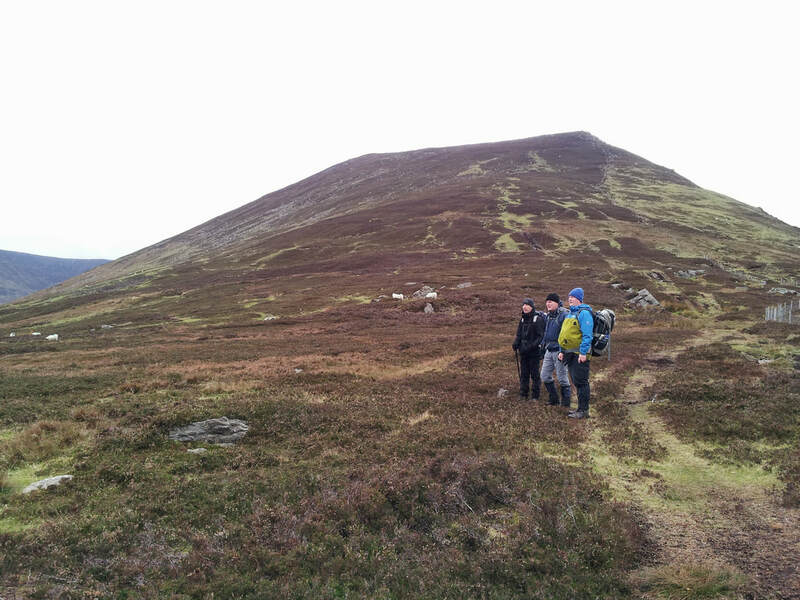 We parked at knockmulgurry and proceeded to Carrigalacken Gap, then we assended up to top of White Mountain. 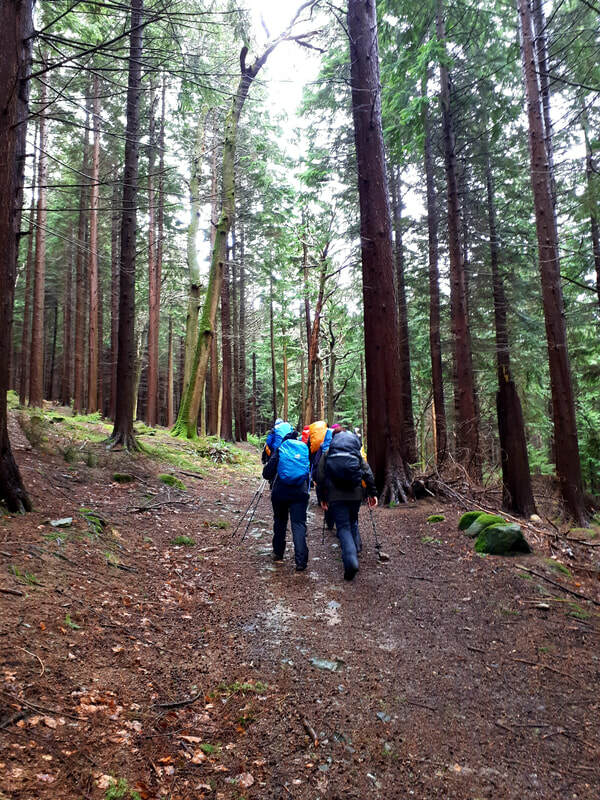 We decended via the forrest tracks to the start. 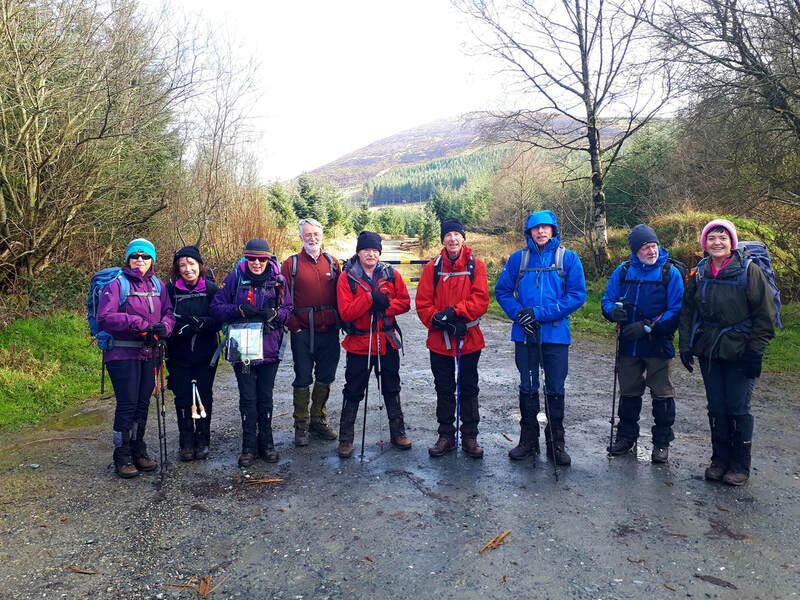 Events from Monday 25th February 2019 to Sunday 3rd March 2019. 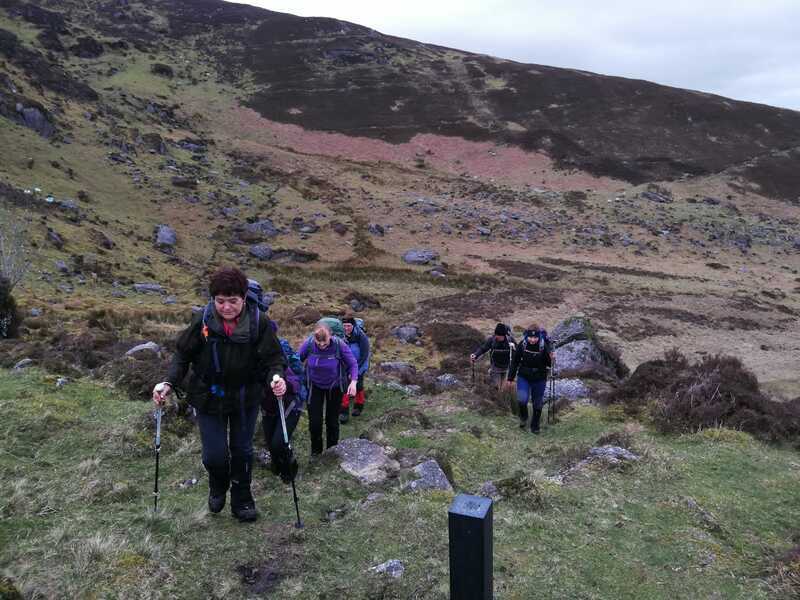 ​Wednesday 27th February - Evening Walk - Contact Barry on 086-1098244. 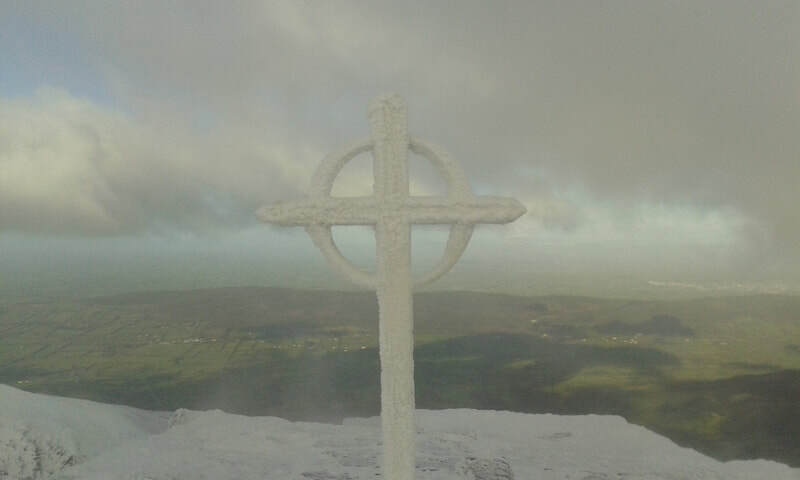 Meeting at Askea Church Car Park at 06.20 for car pooling and departing at 6.30pm. 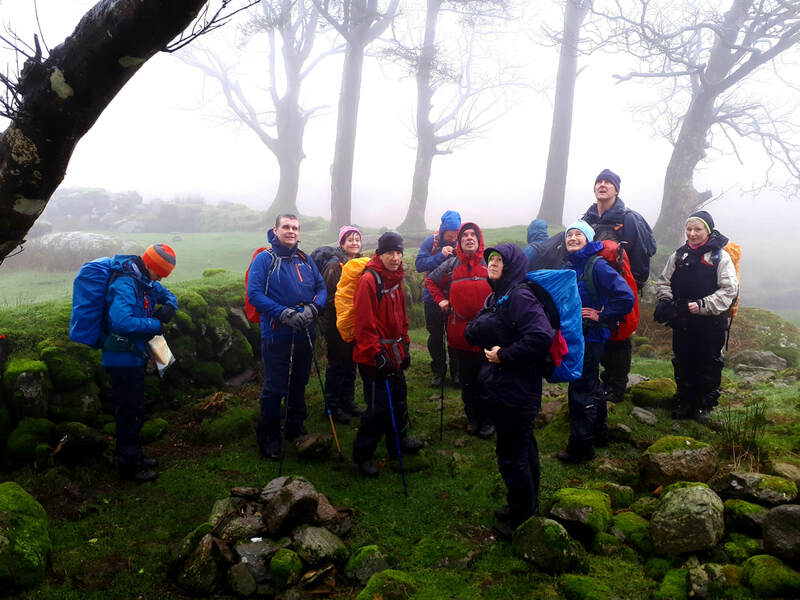 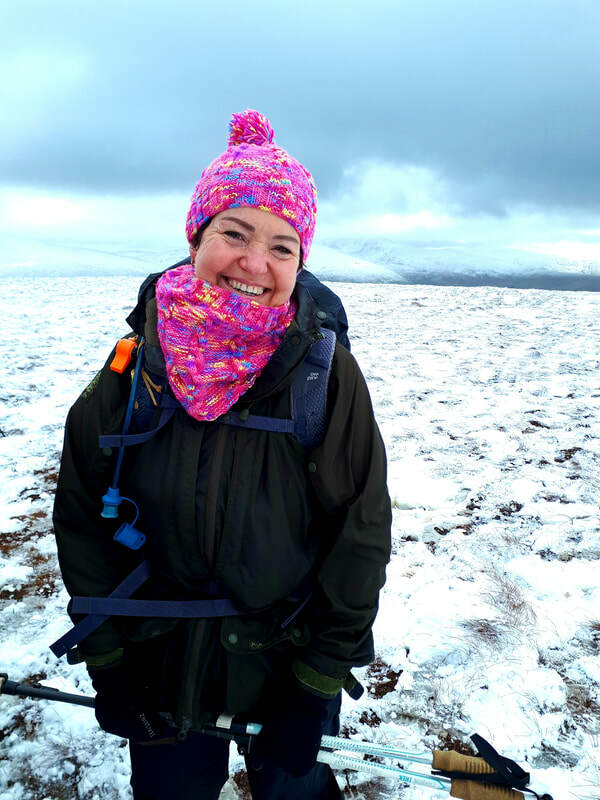 Friday 1st March - Medium Night Hike - NO HIKE TONIGHT, due to our annual get together. 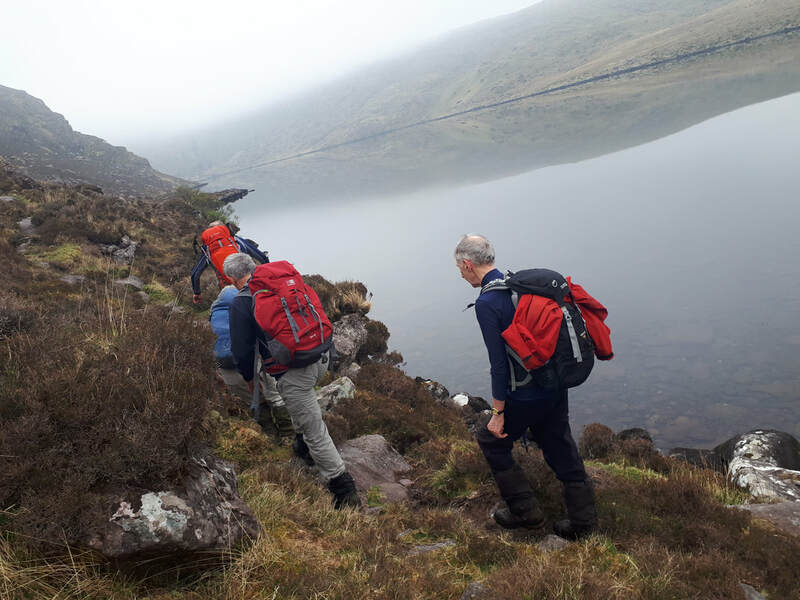 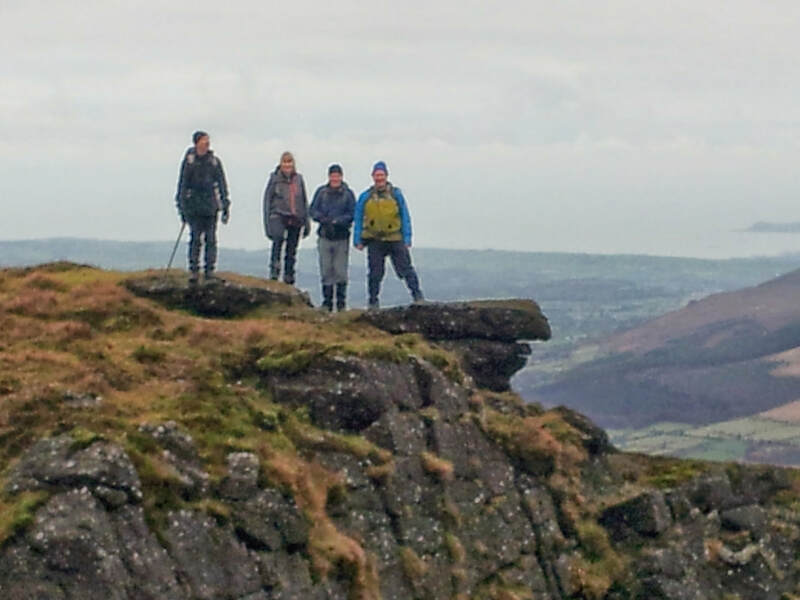 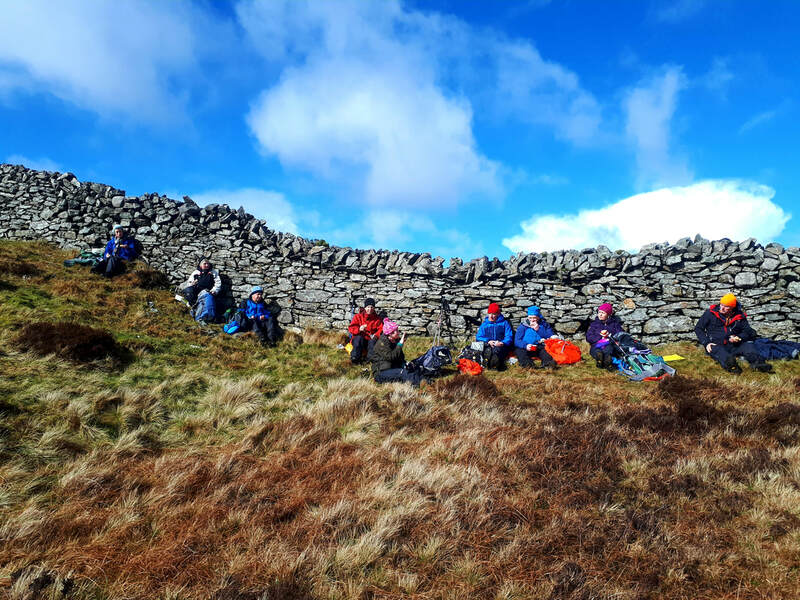 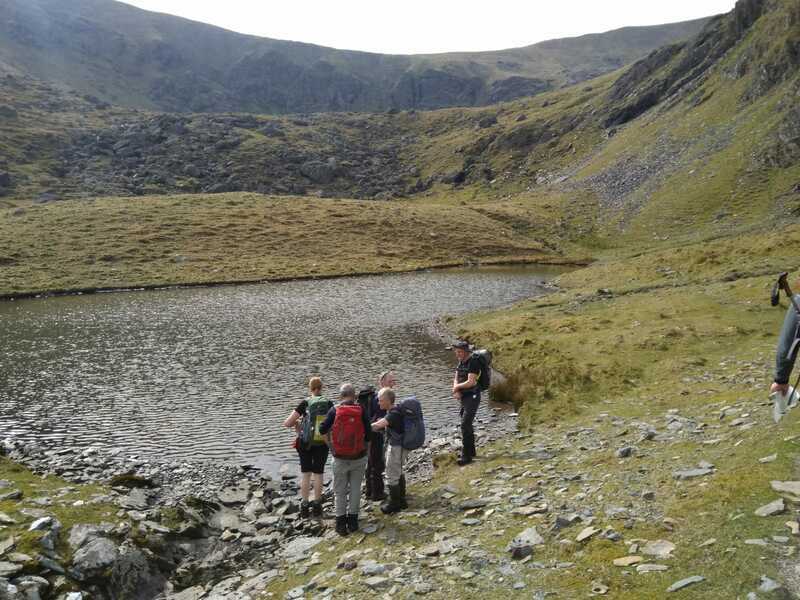 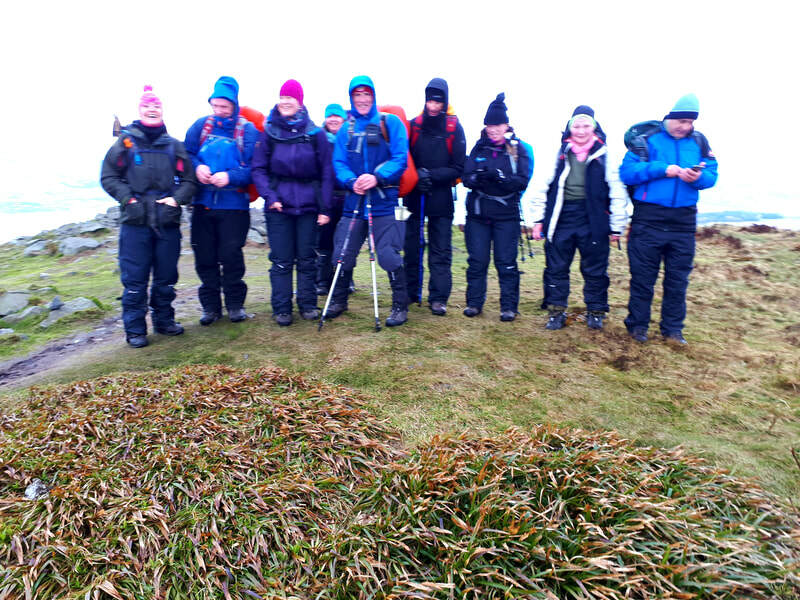 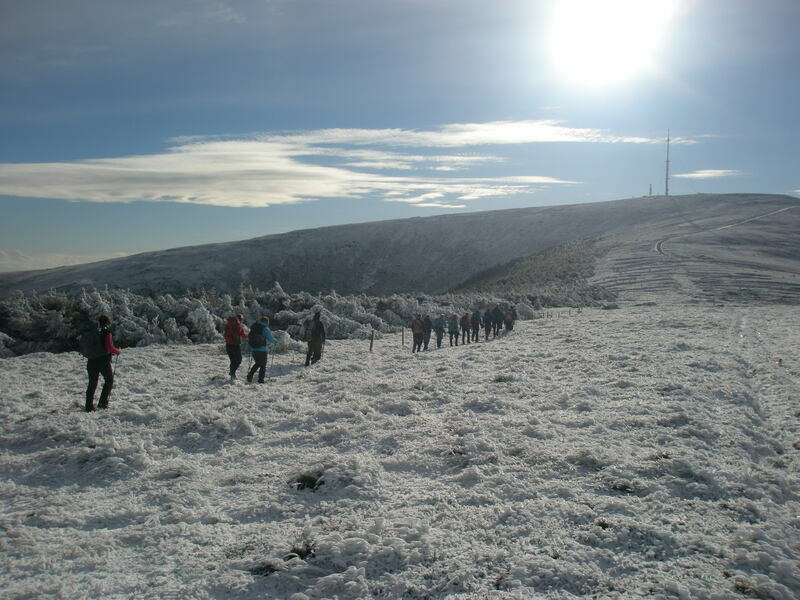 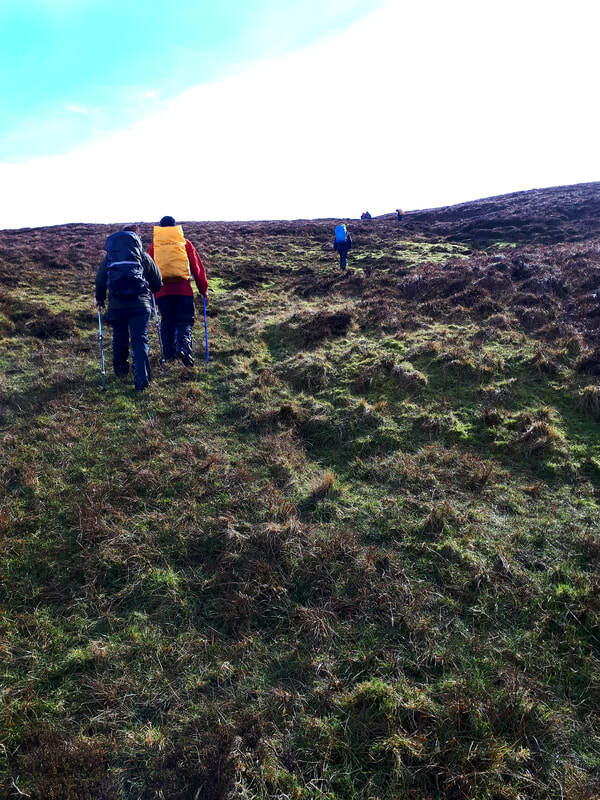 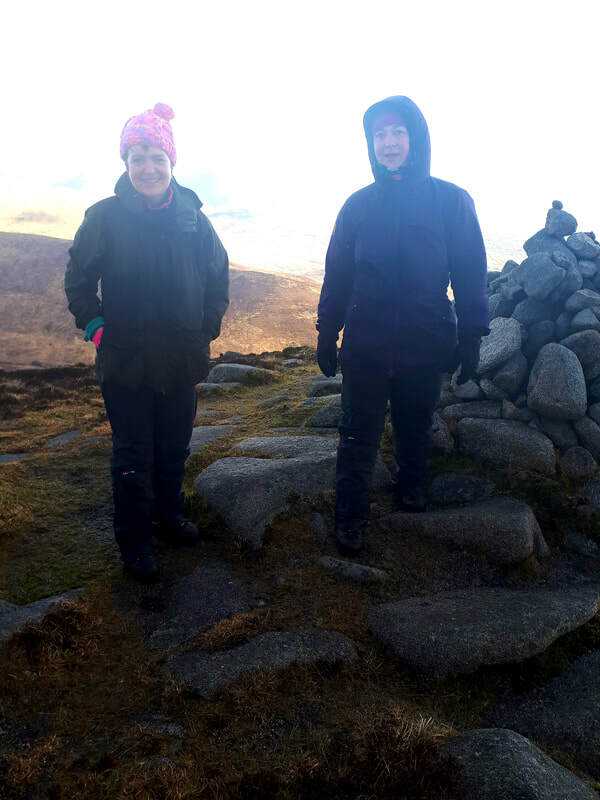 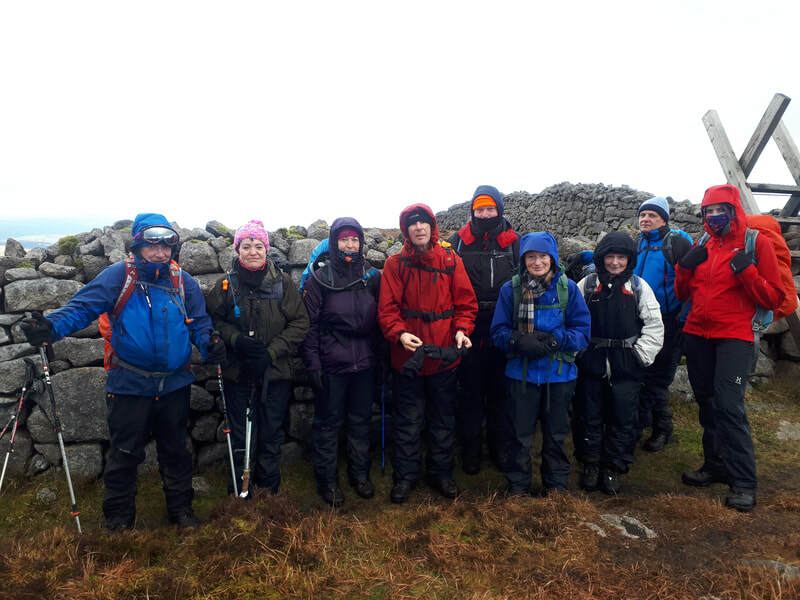 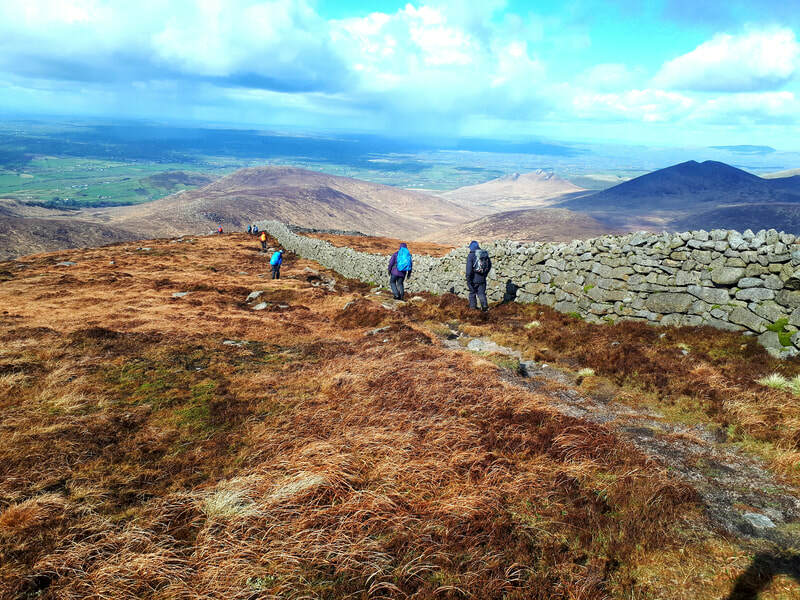 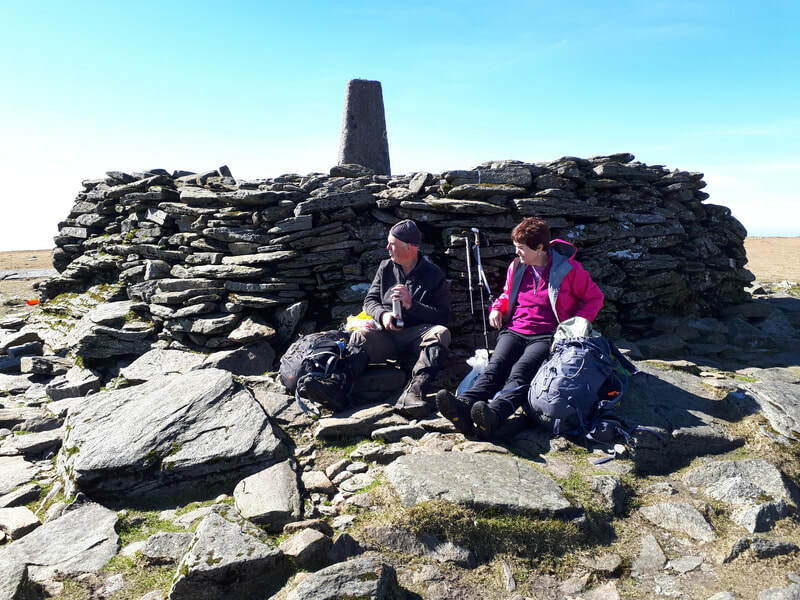 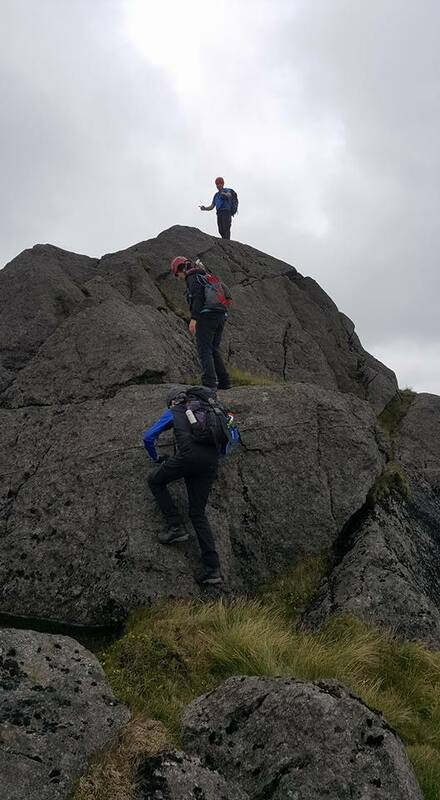 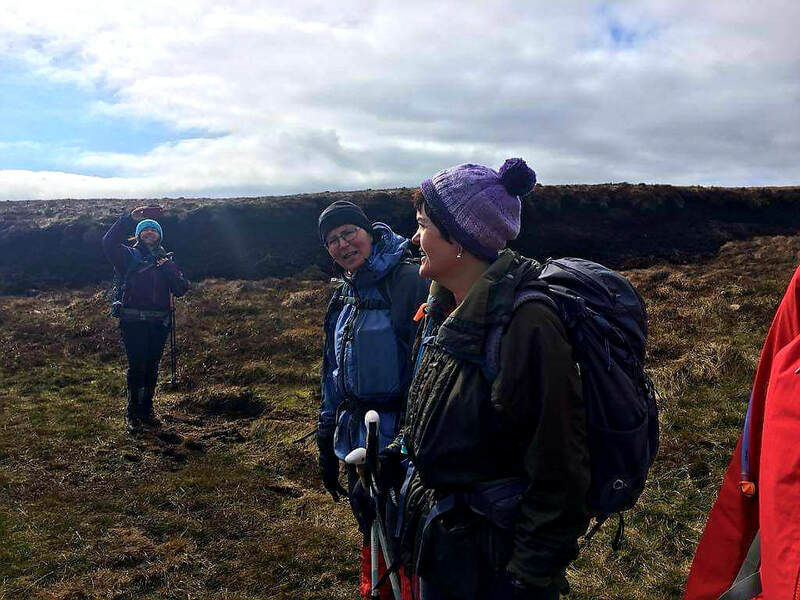 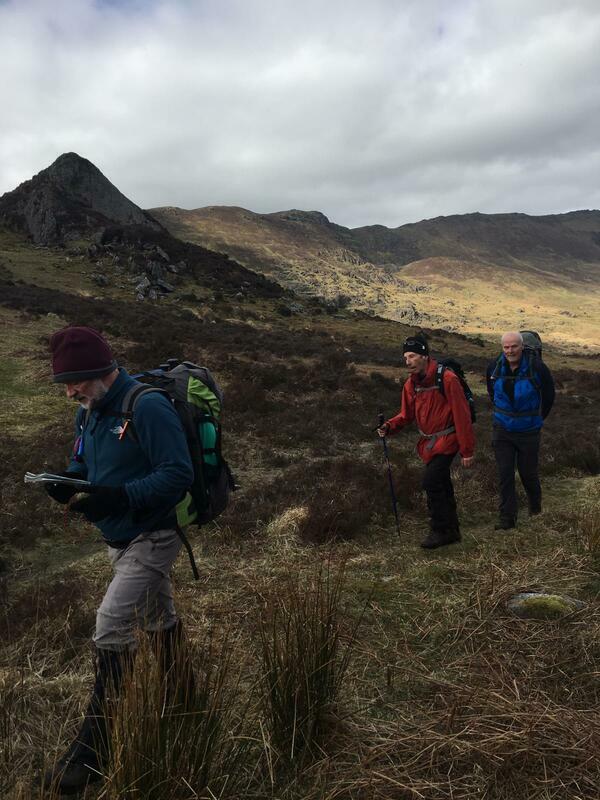 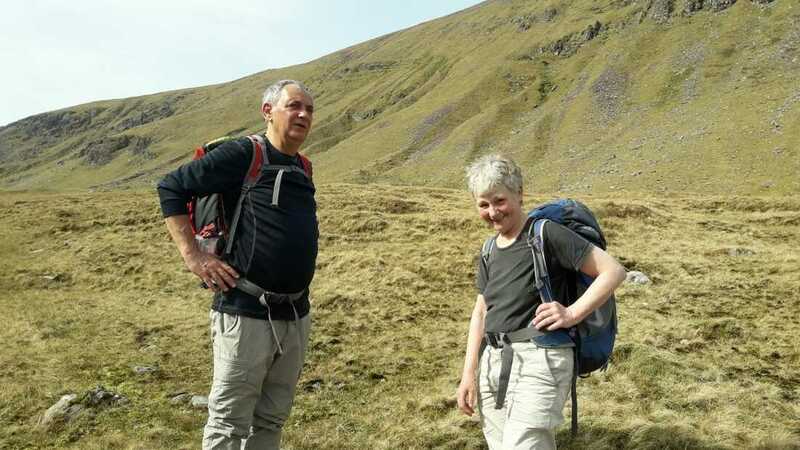 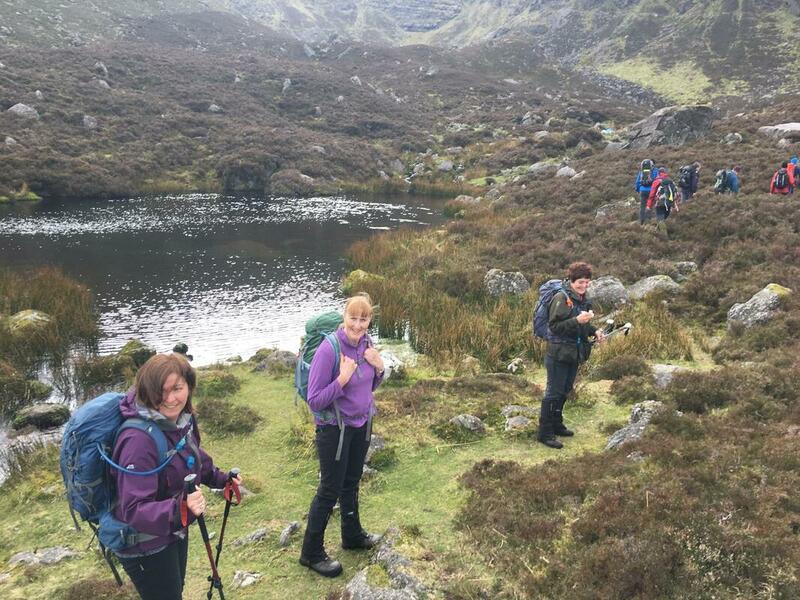 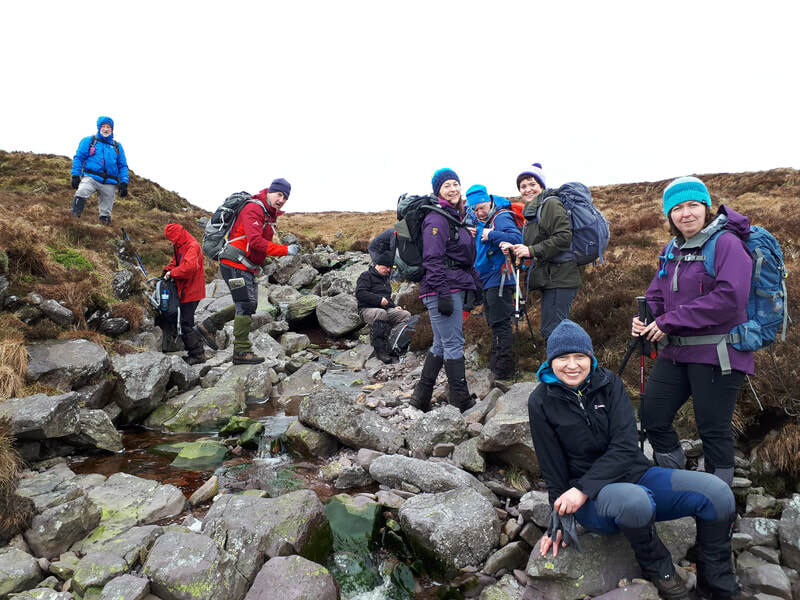 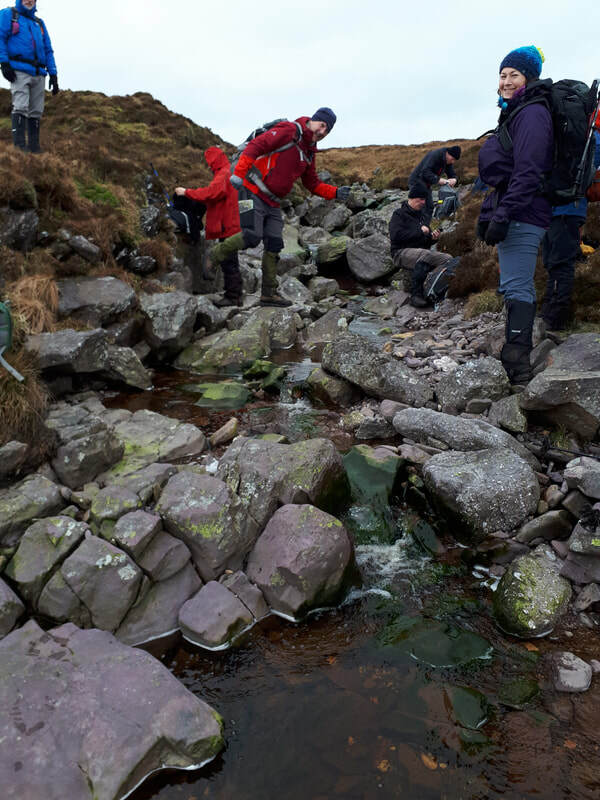 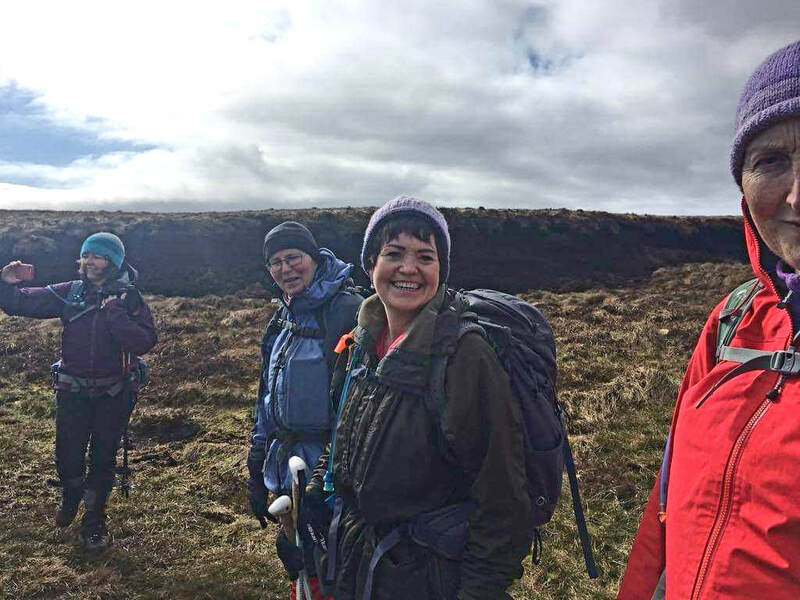 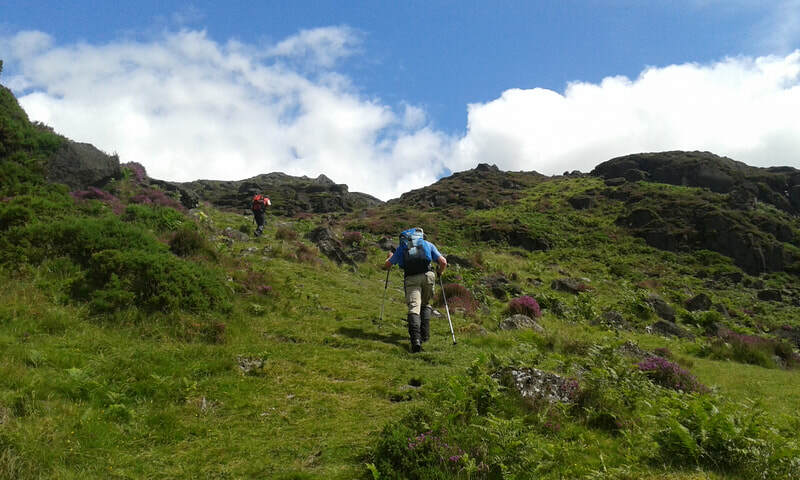 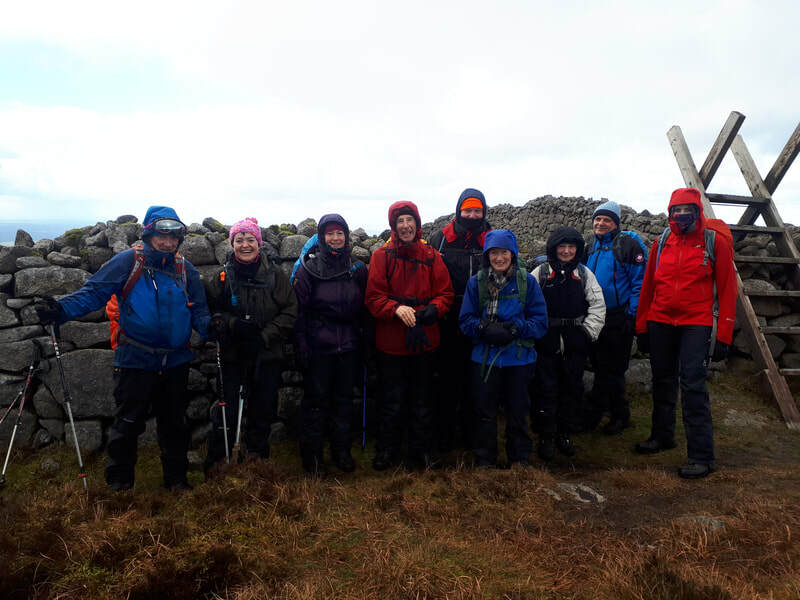 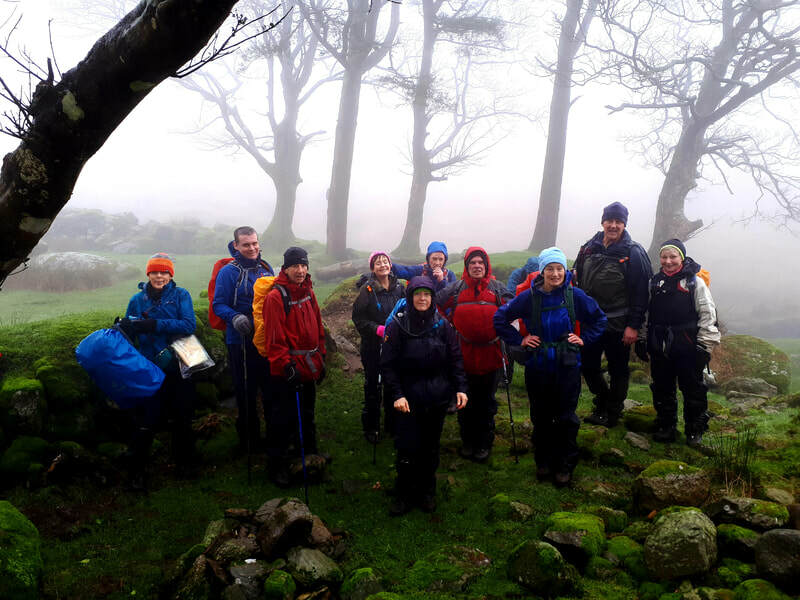 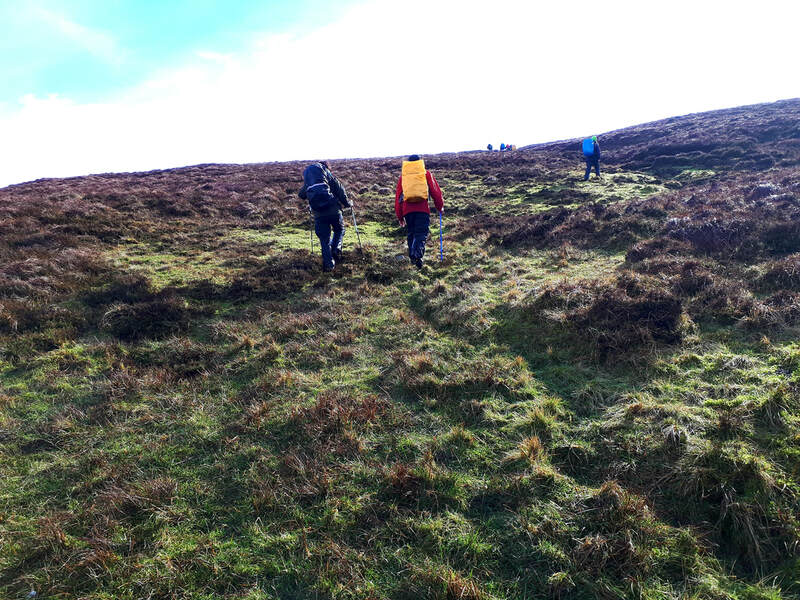 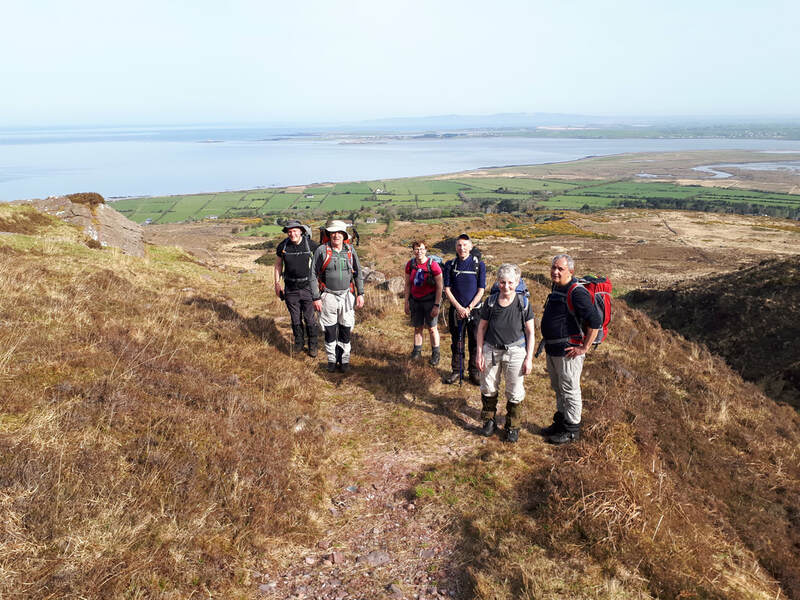 Sunday 3rd March - Easy Hike in the Blackstairs Mountains Contact Lily on 087-6681312, Walkers are meeting up at Barrack Street, Carlow for car pooling departing at 09.30 sharp. 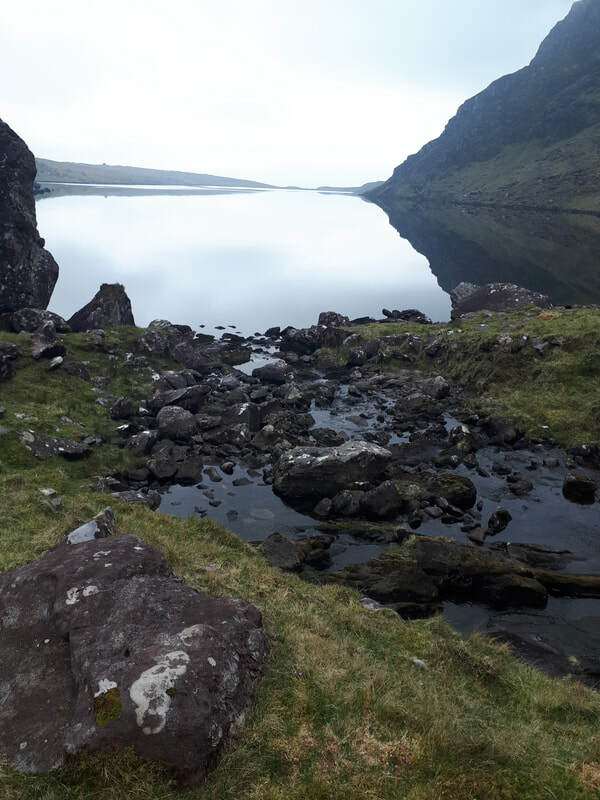 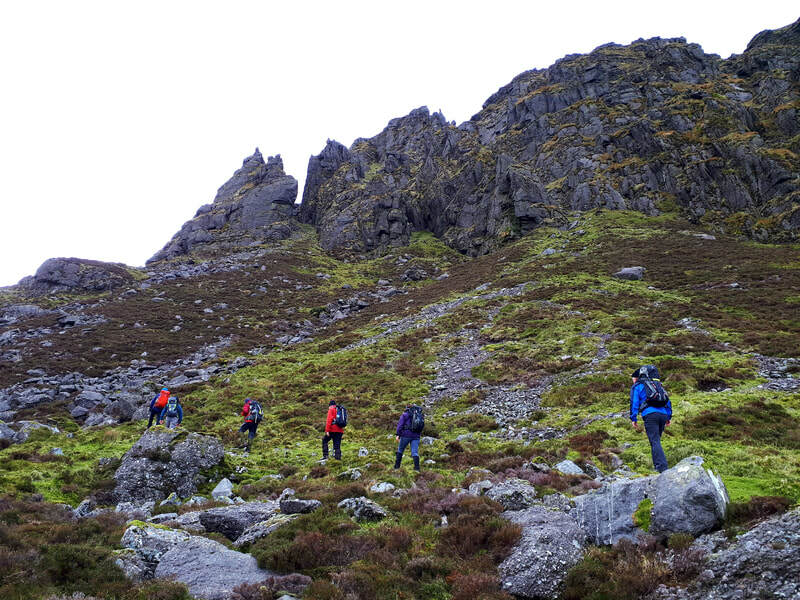 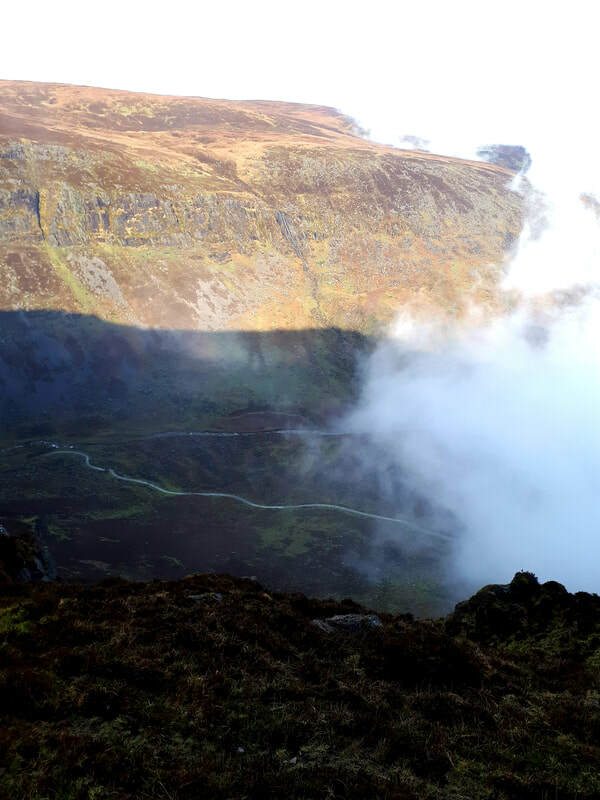 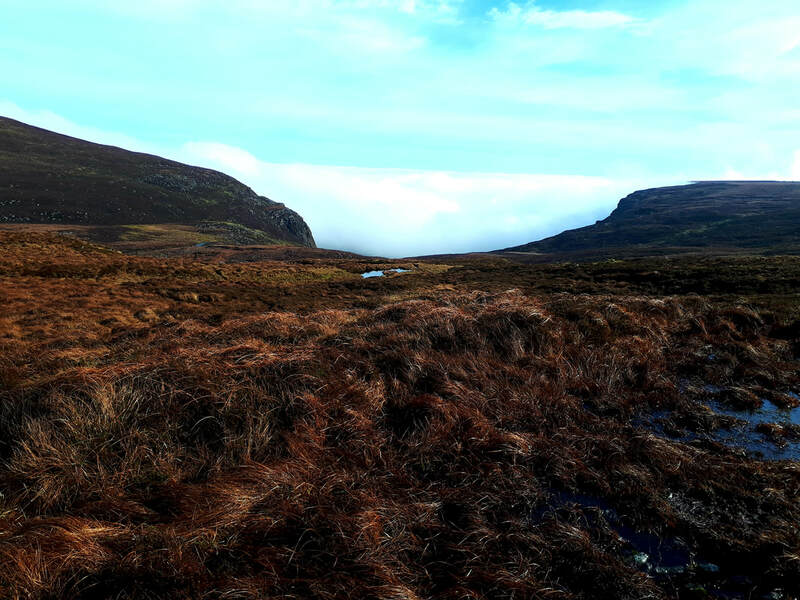 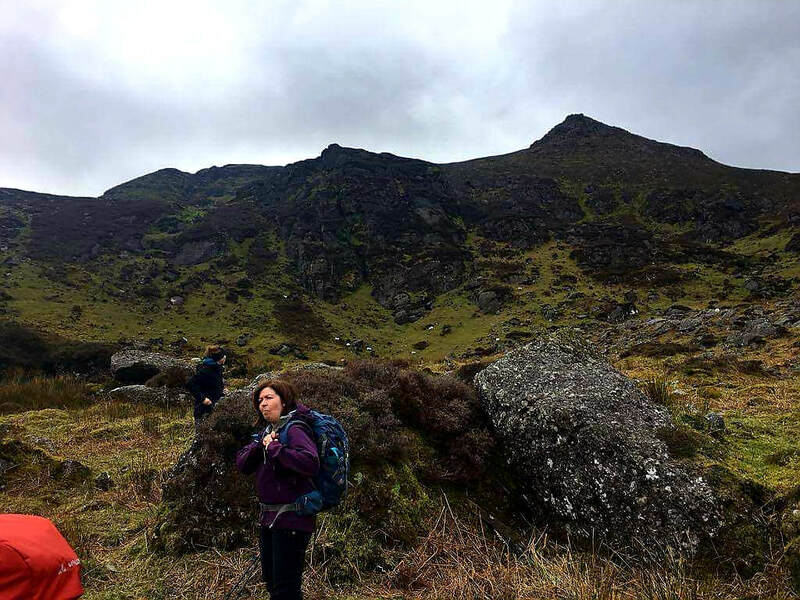 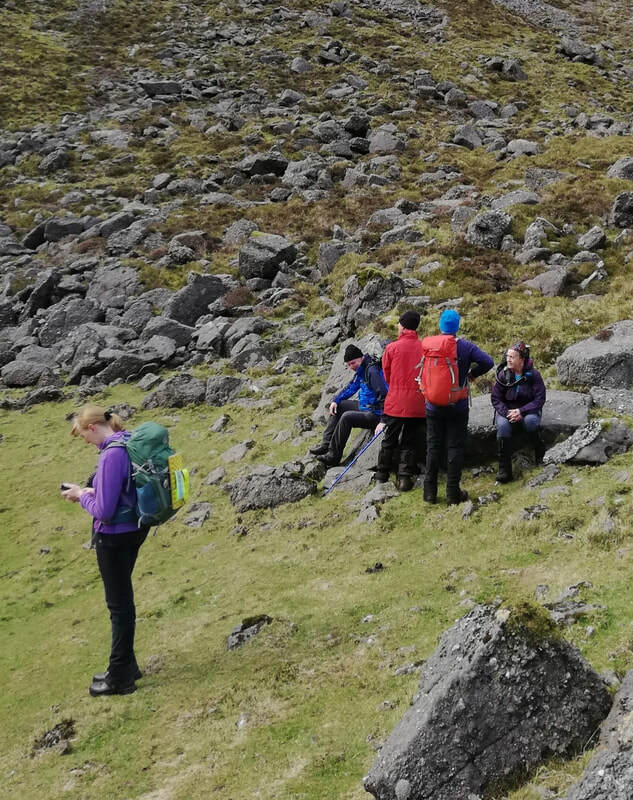 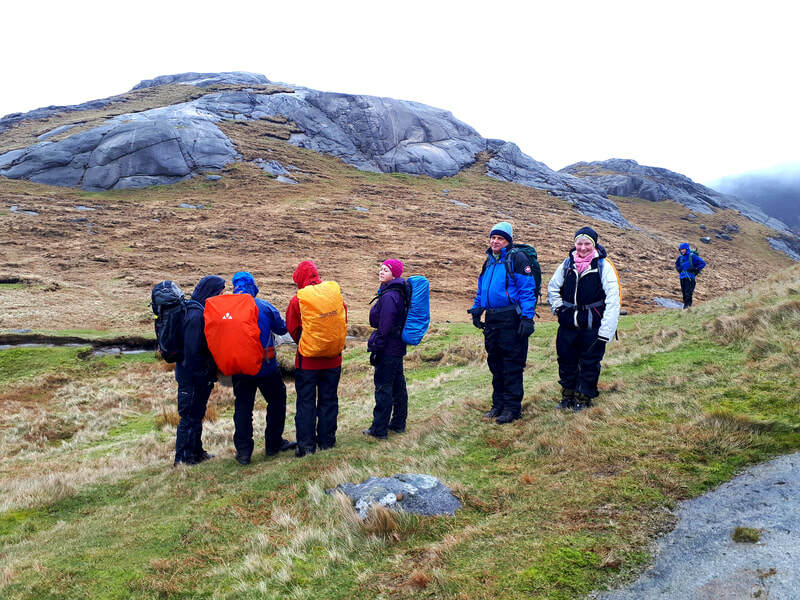 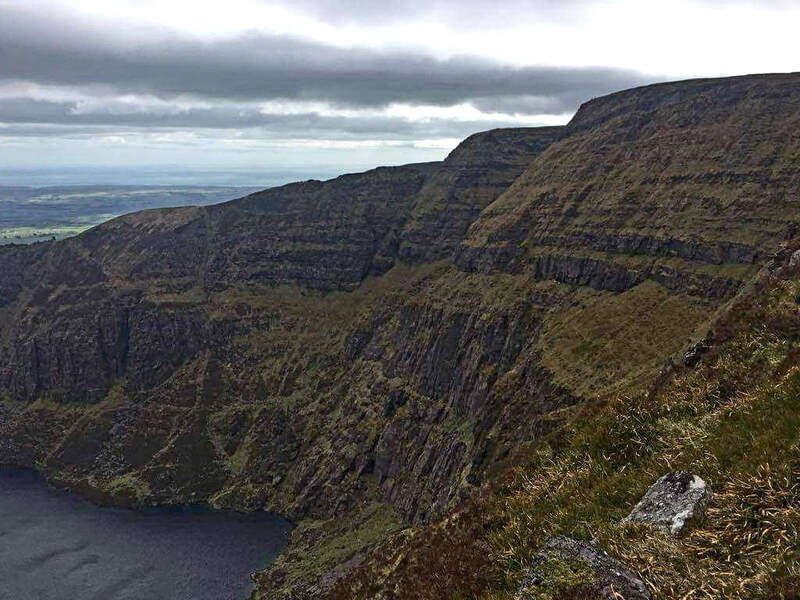 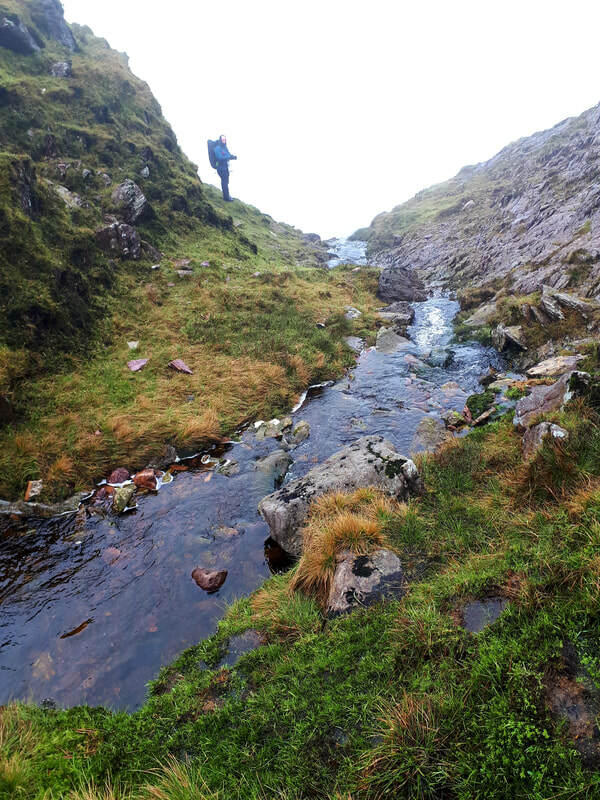 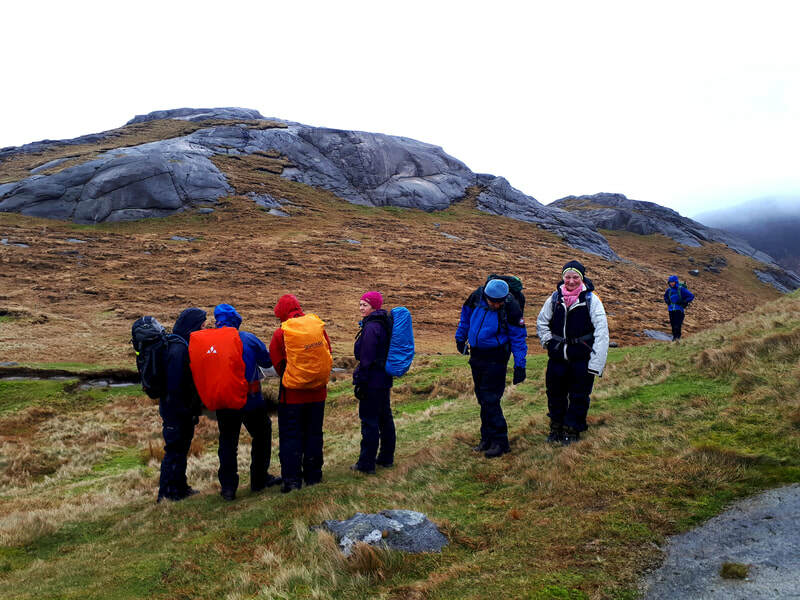 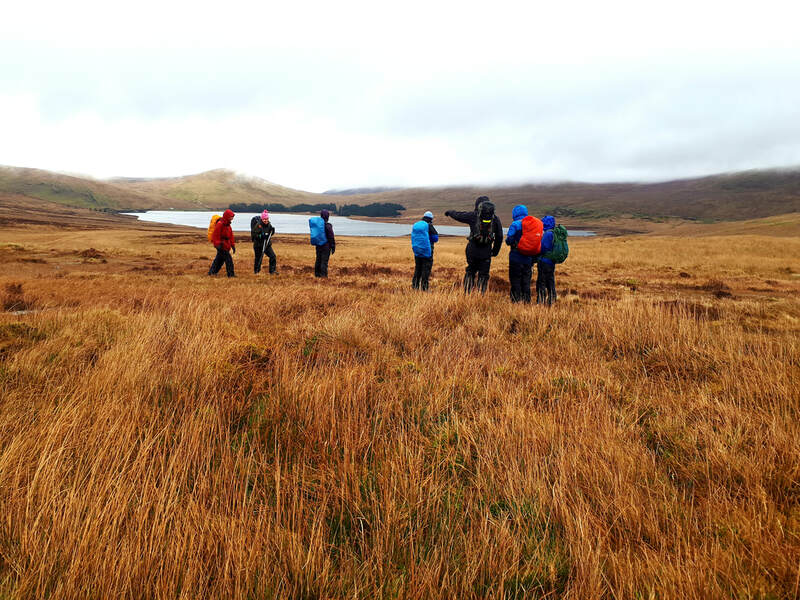 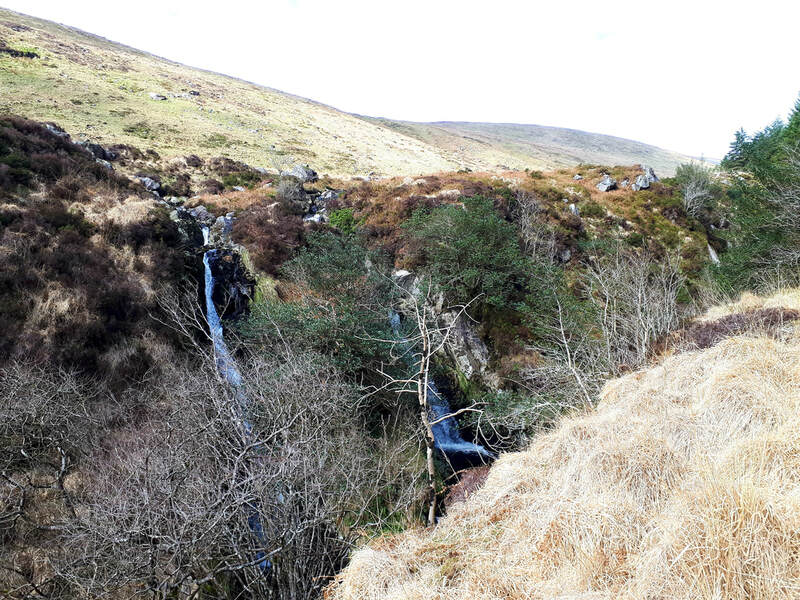 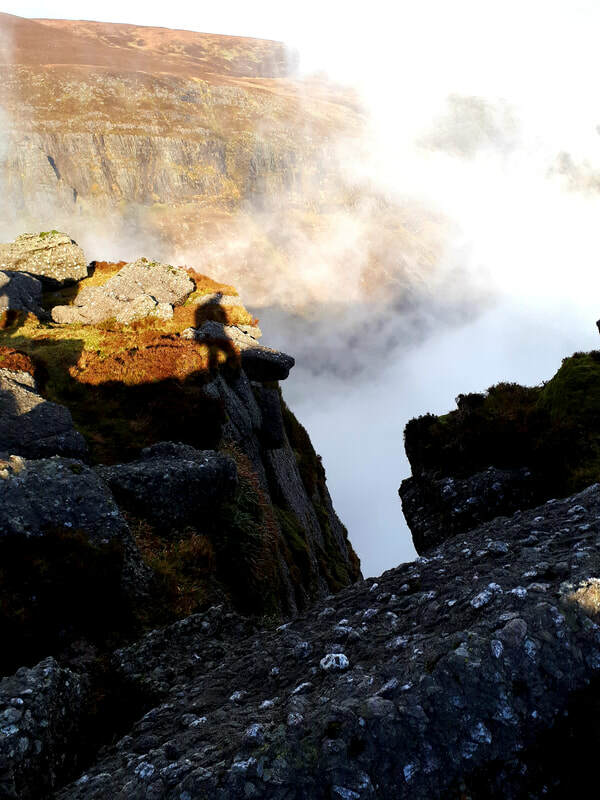 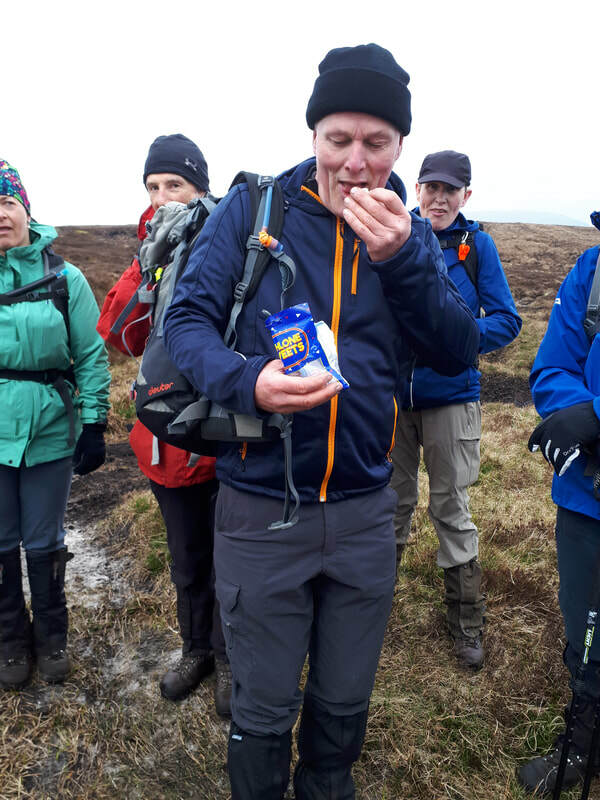 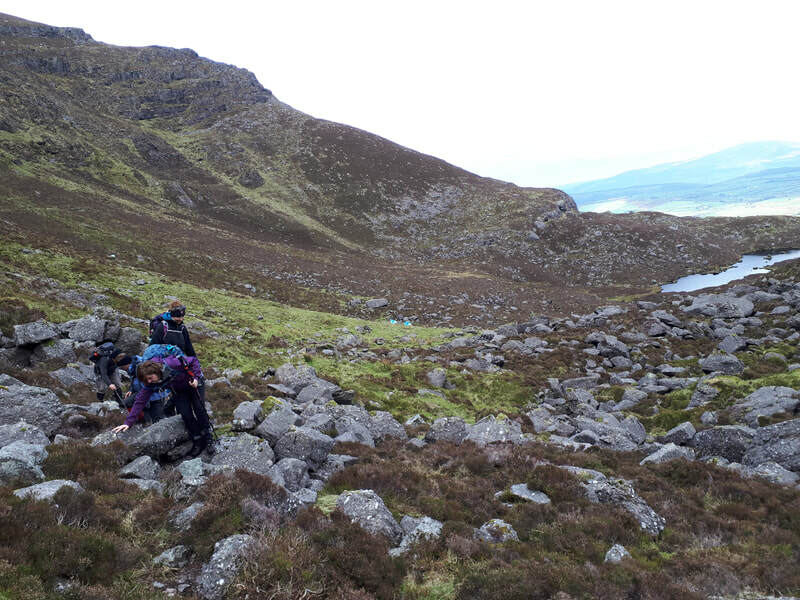 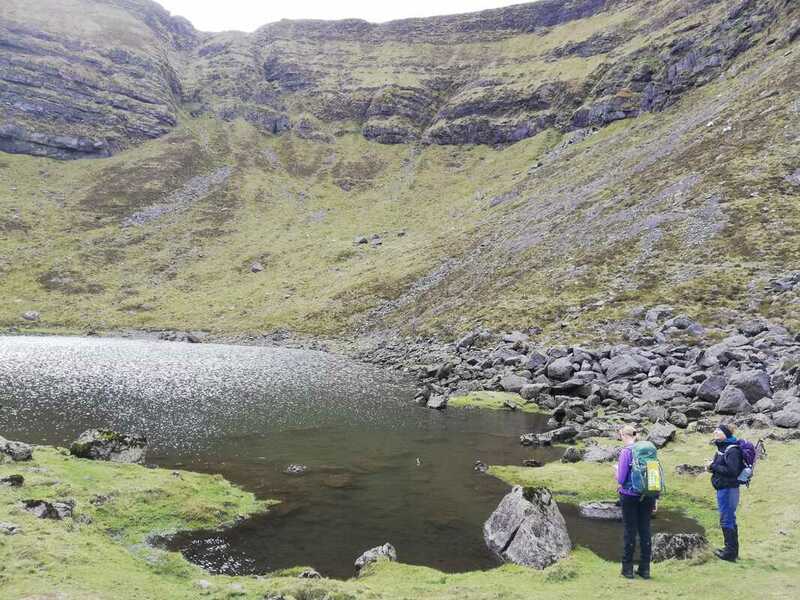 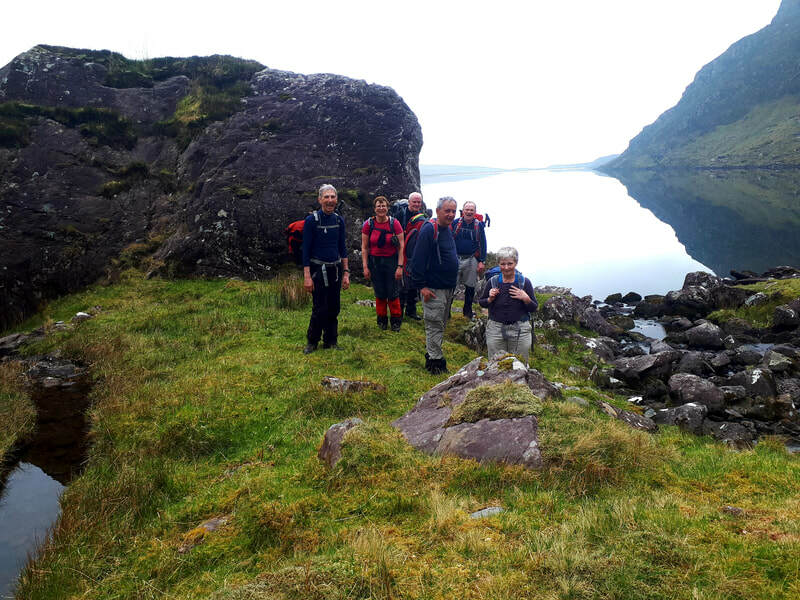 Photos from todays walk in the Comeraghs led by Michael, we started from the Mahon Falls carpark assending around the back of the falls to Com Tae, over to Shan Bhan and around to top of the Mahon Falls. 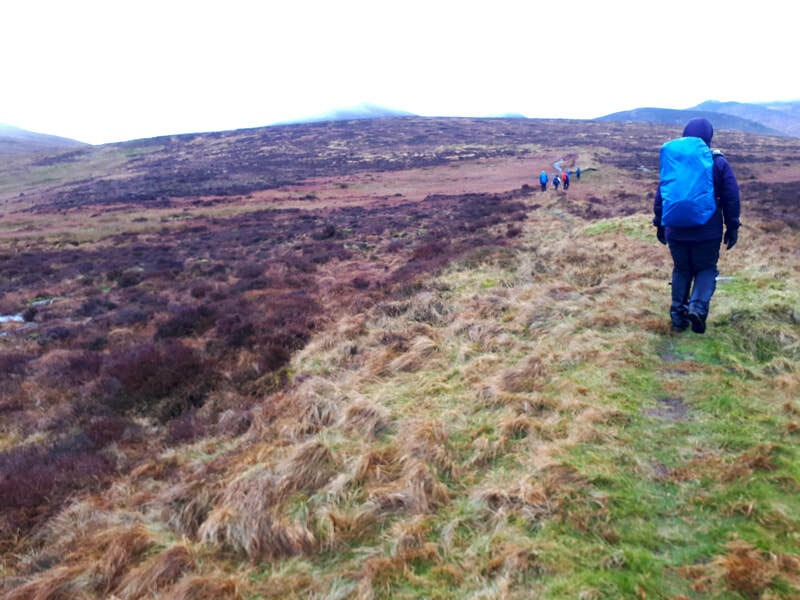 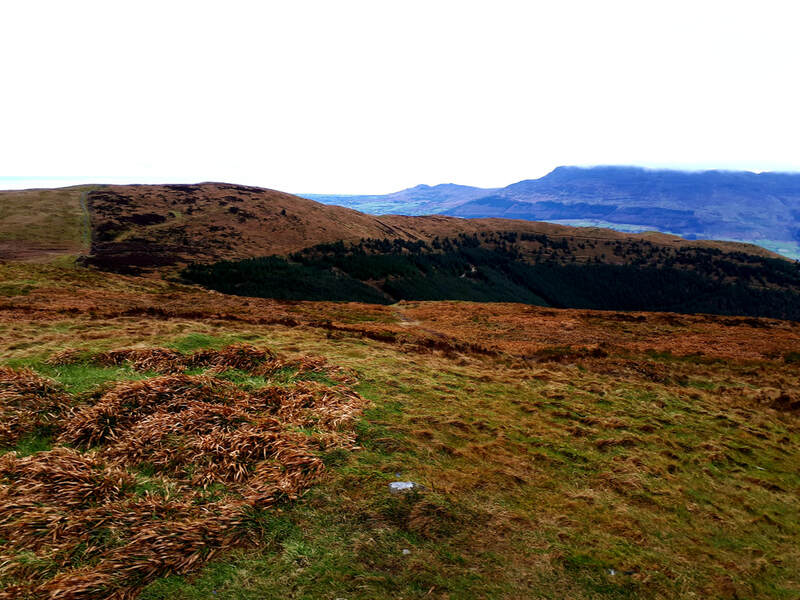 We then assended Comeragh Mountain and back down to the start. 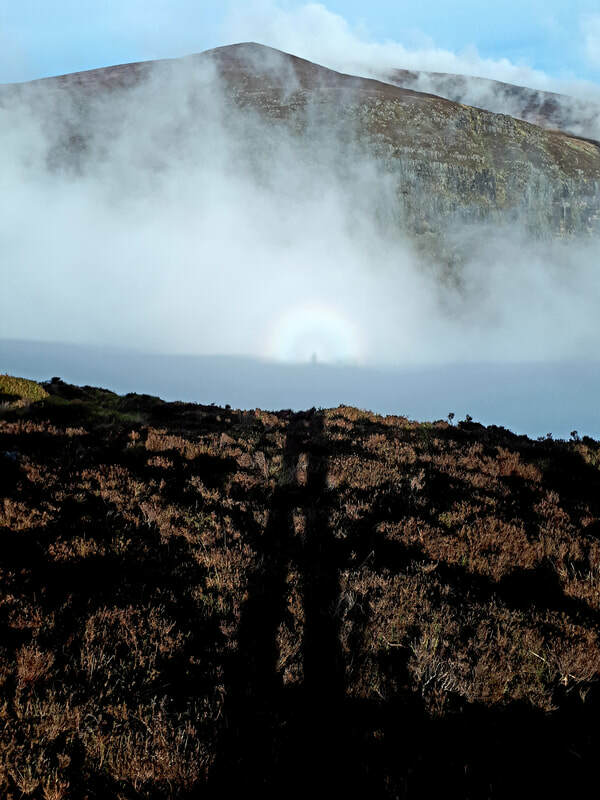 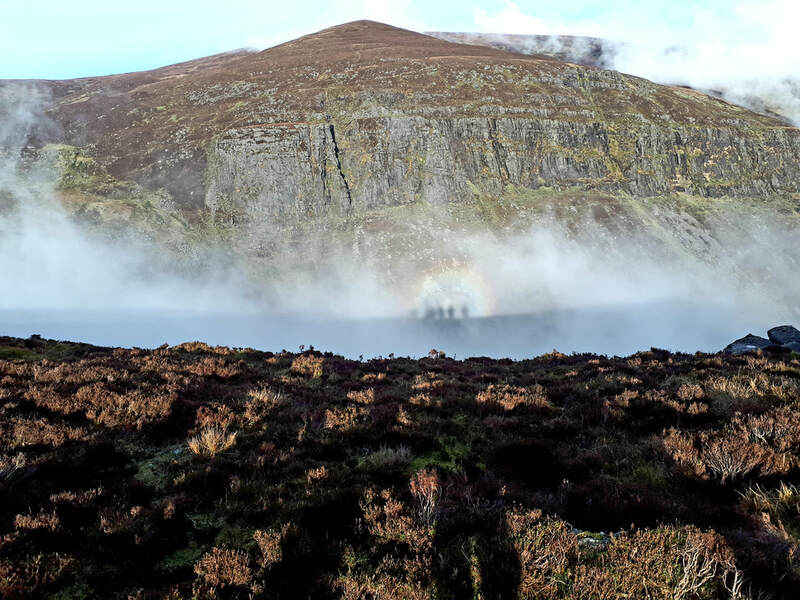 A very wet and misty start to the day but it finished off with sunshine and some lovely views, we even saw a "Broken Spectre".